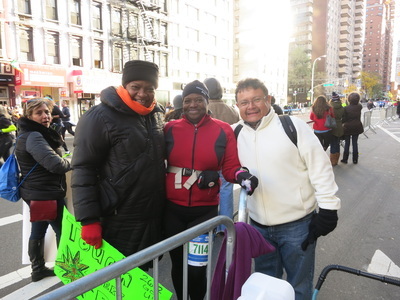 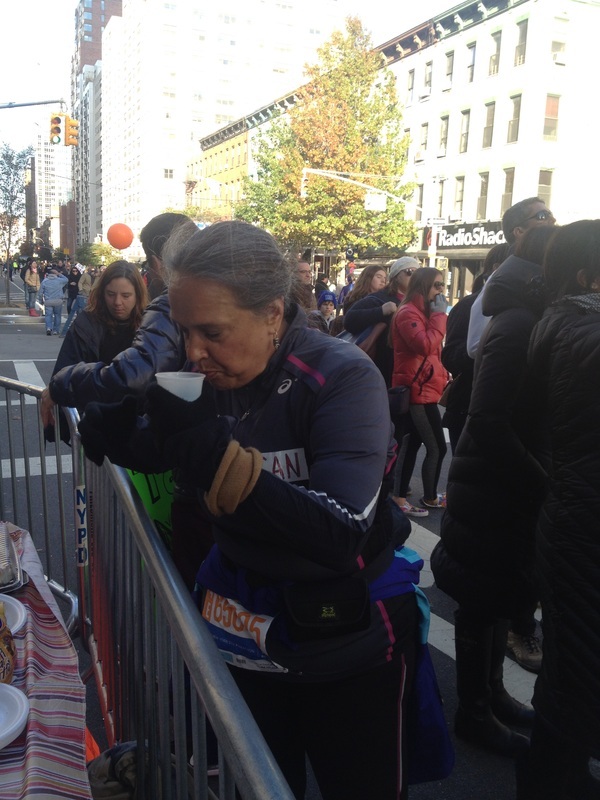 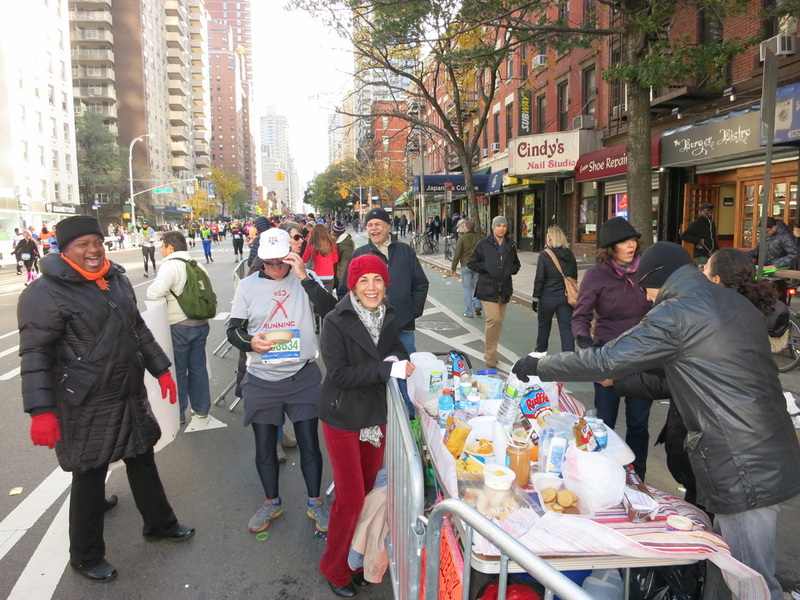 Galloway NYC members Telisa Walter, Michelle Karwejna and Patrick Dillon organized Galloway-sponsored fluid stations at NYRR 5-boro races and the NYC Marathon. 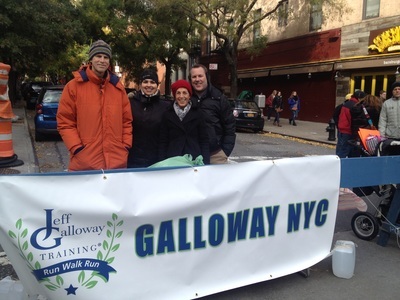 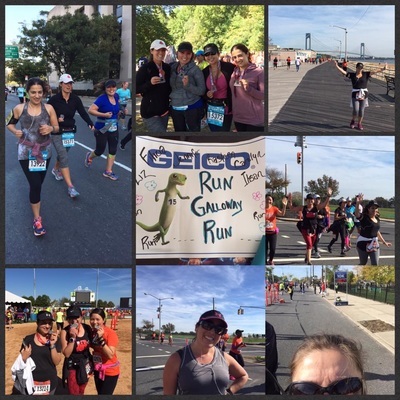 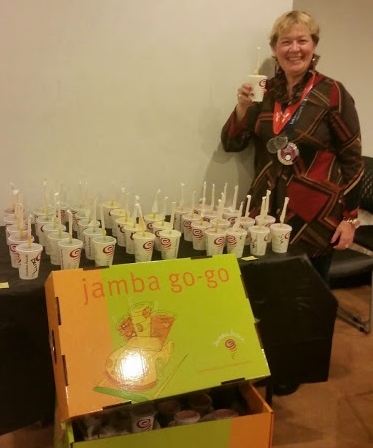 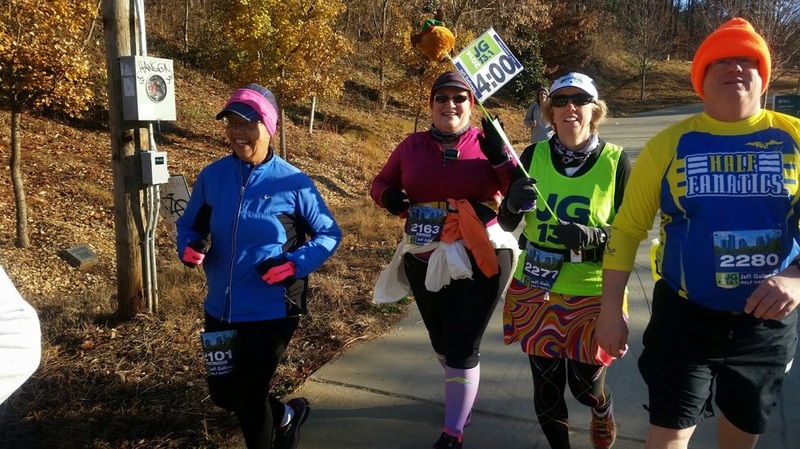 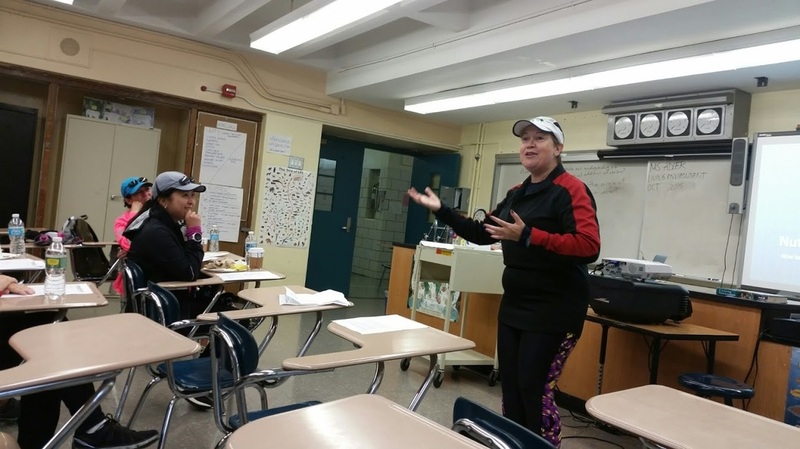 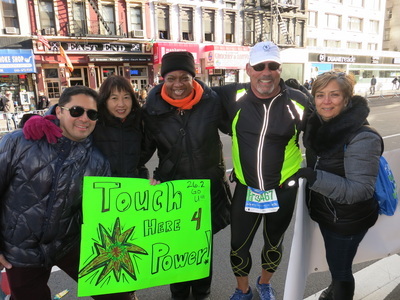 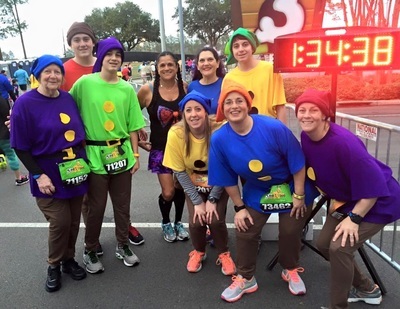 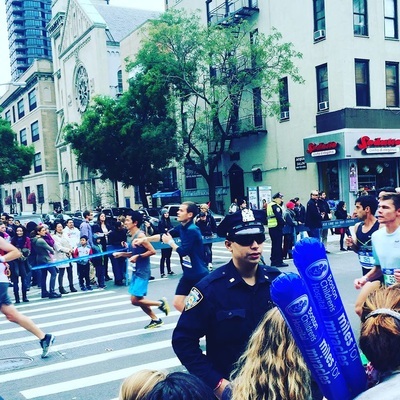 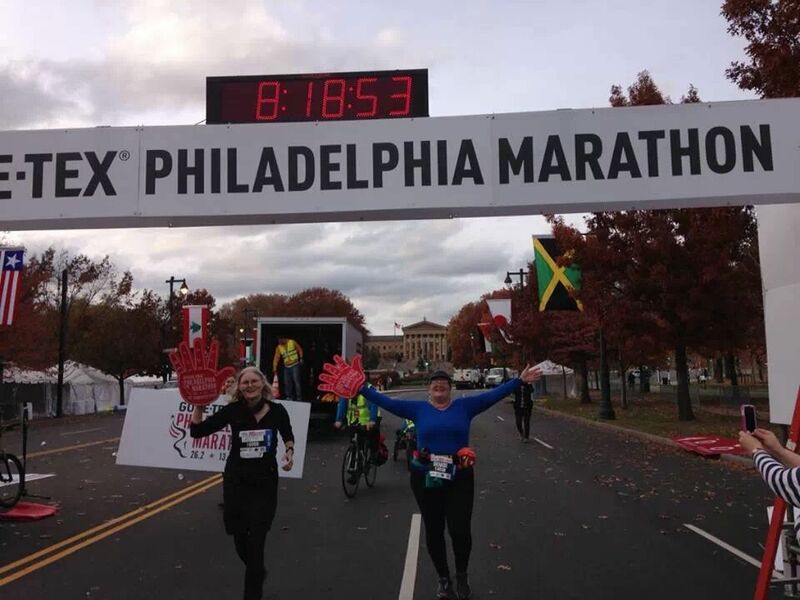 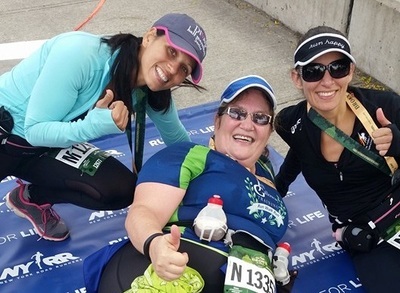 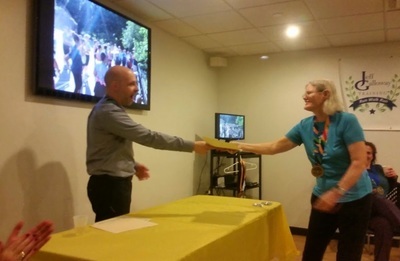 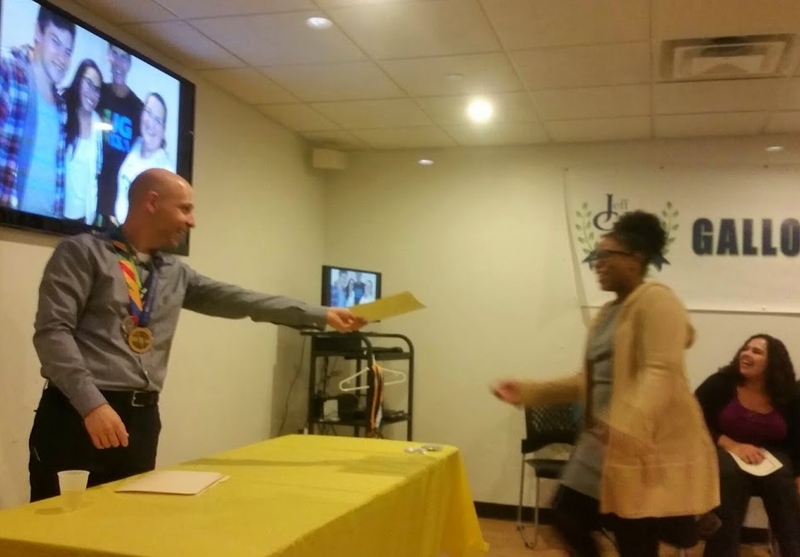 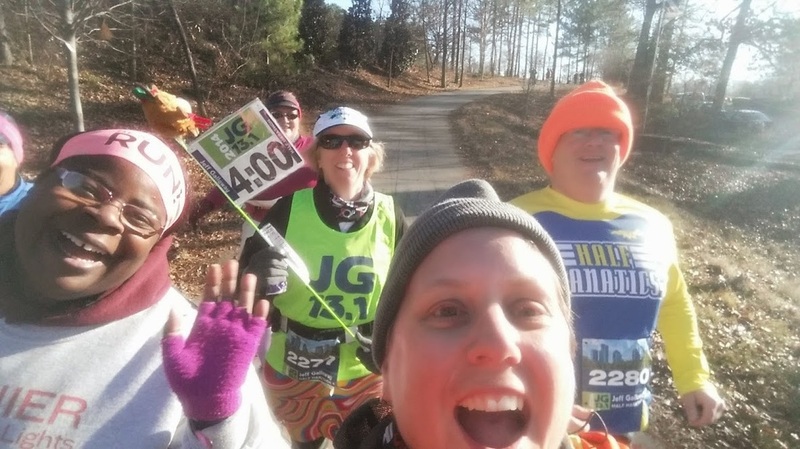 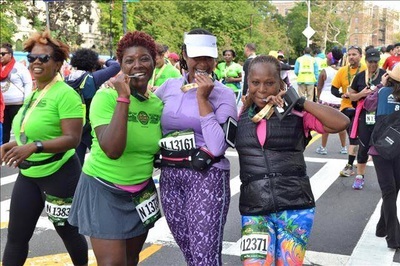 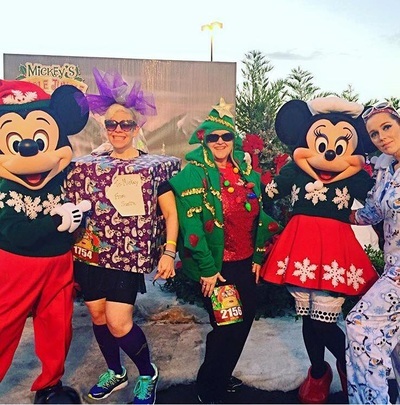 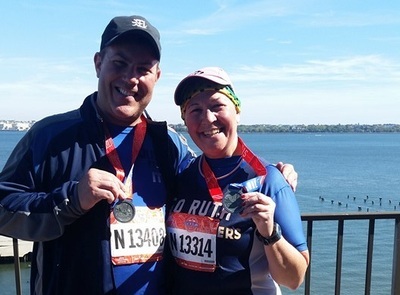 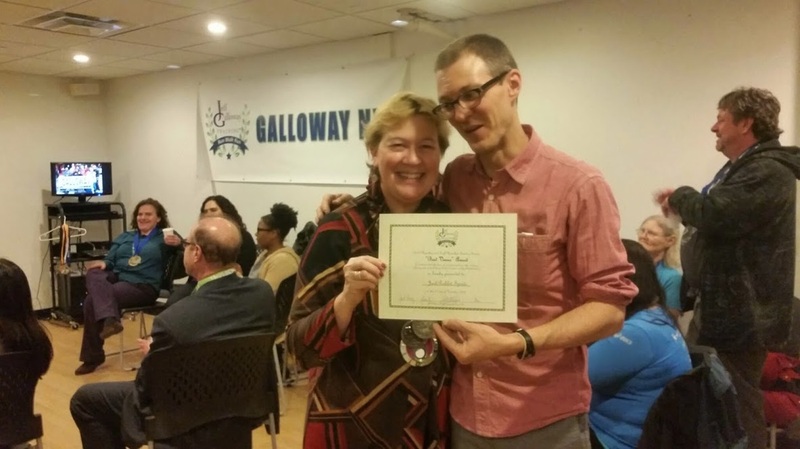 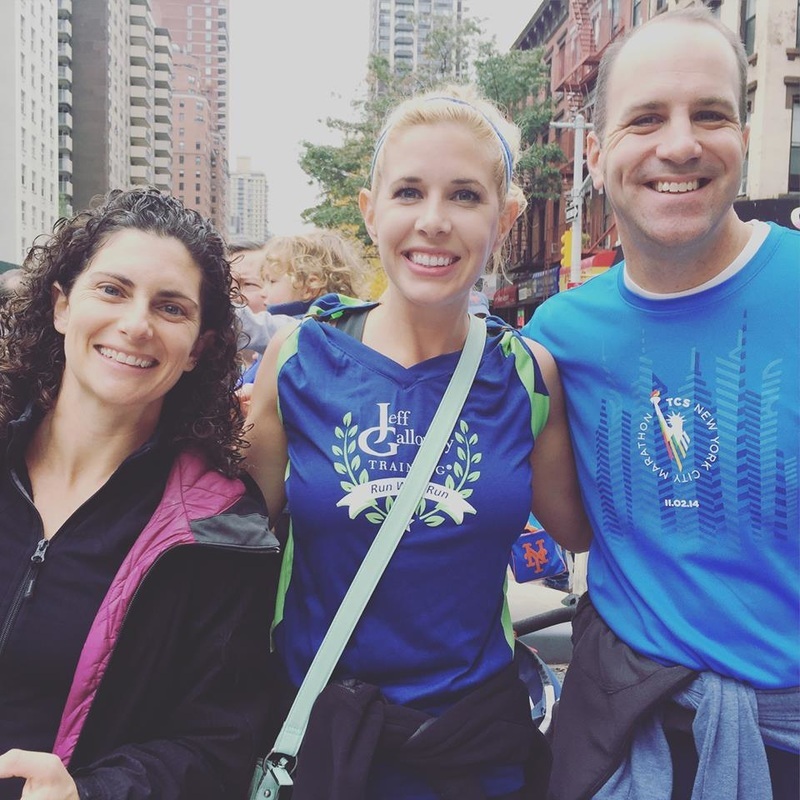 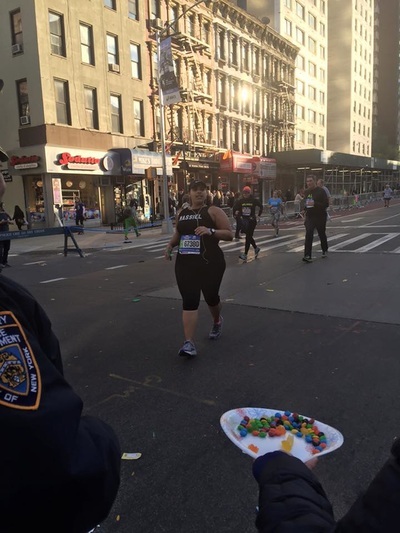 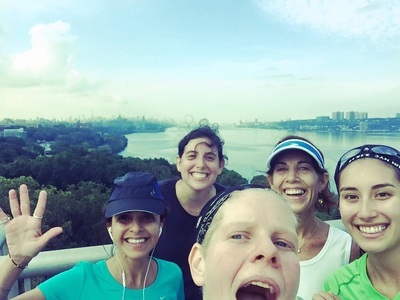 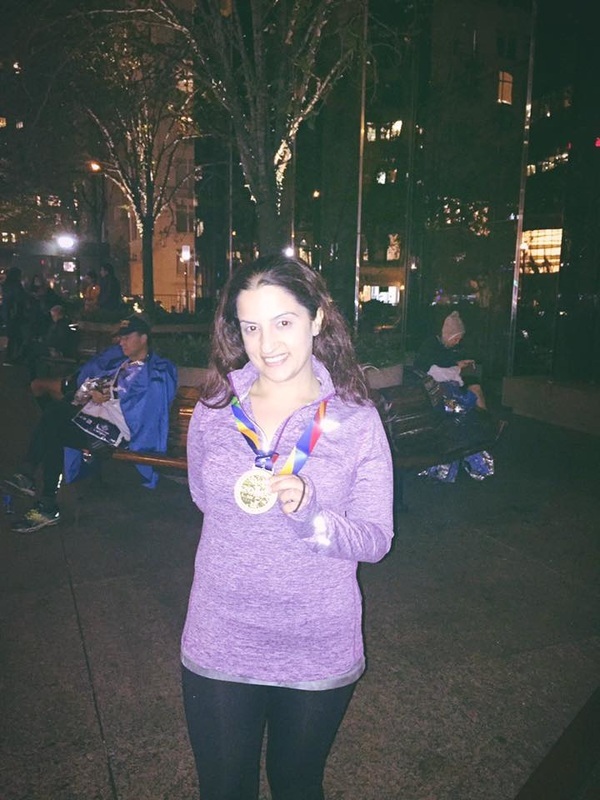 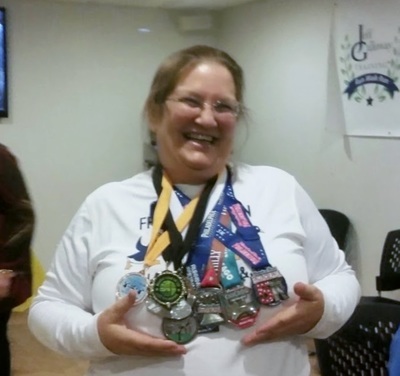 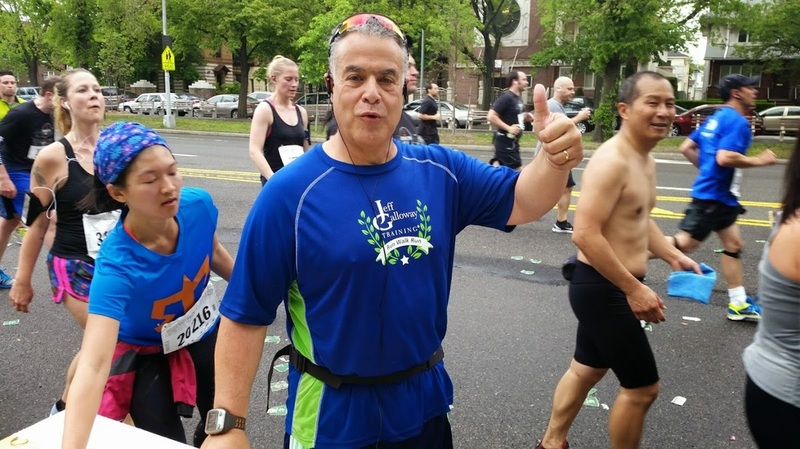 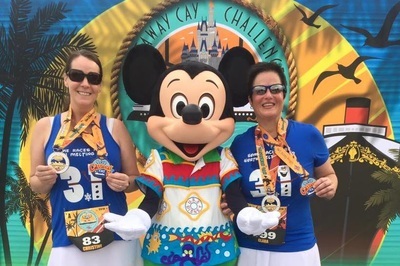 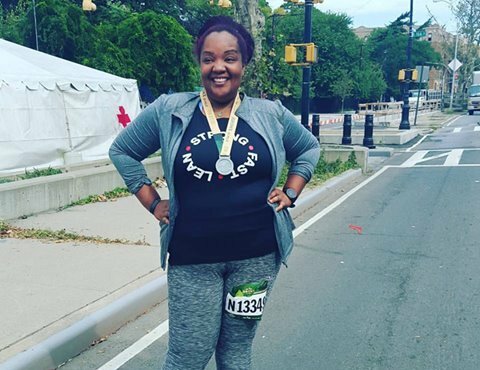 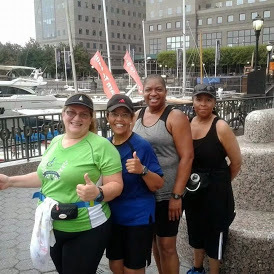 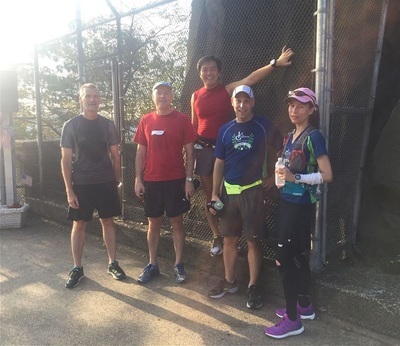 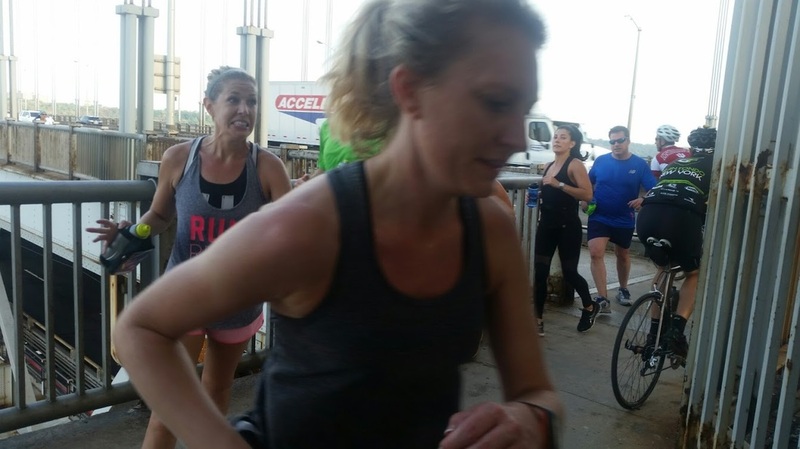 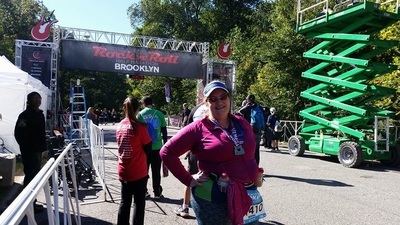 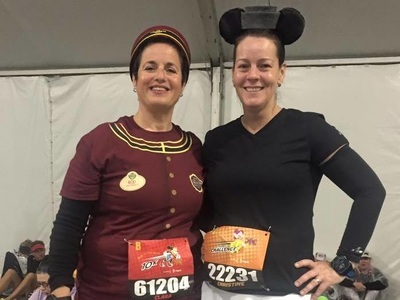 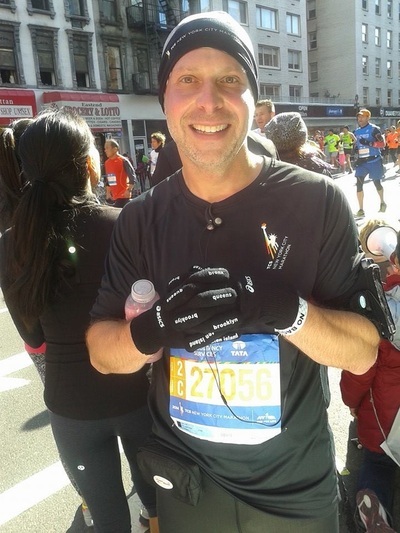 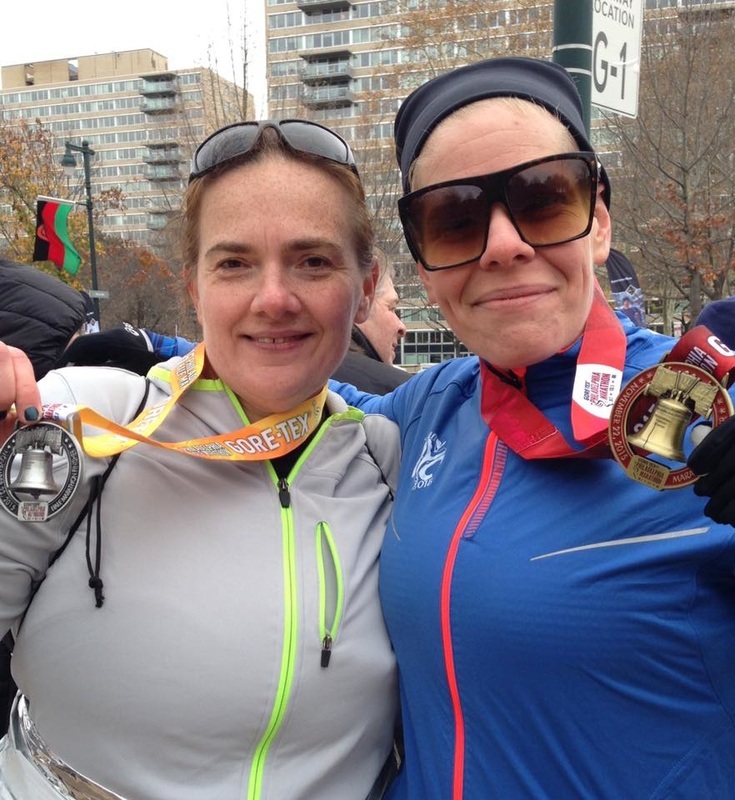 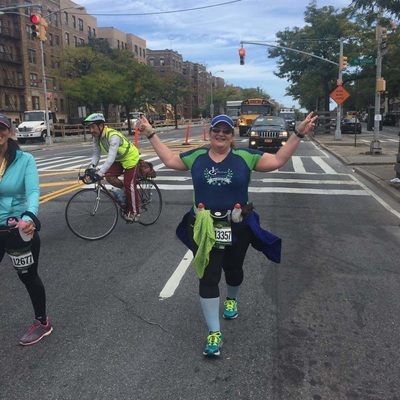 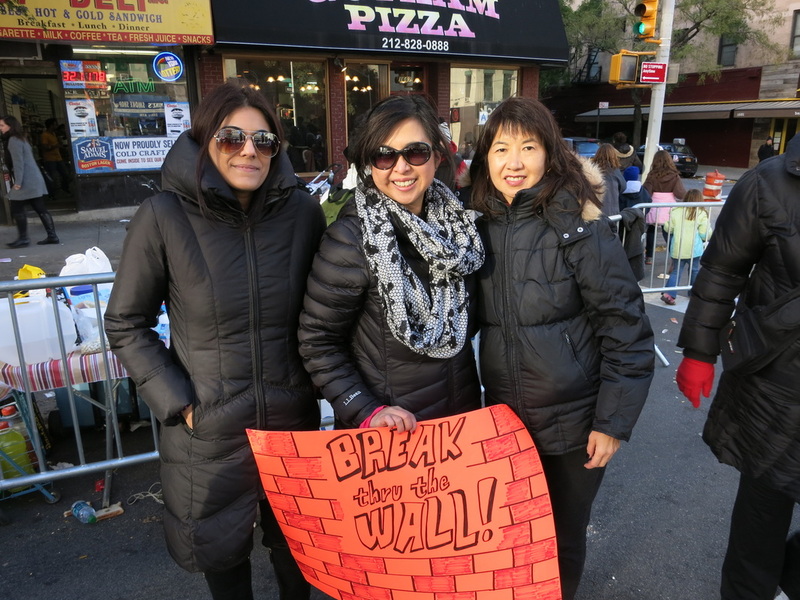 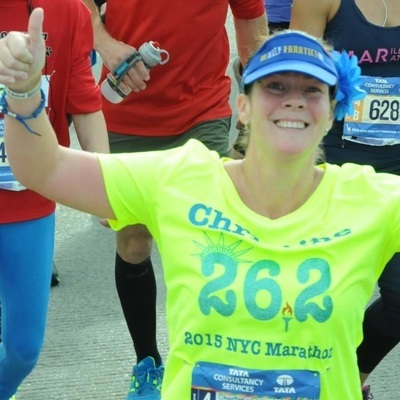 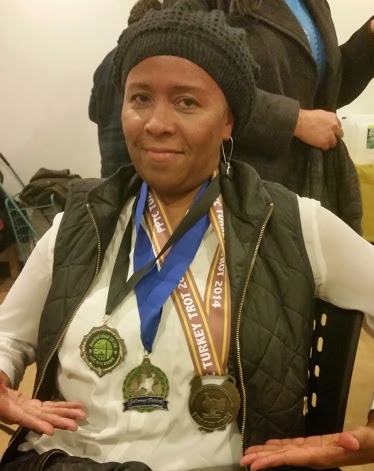 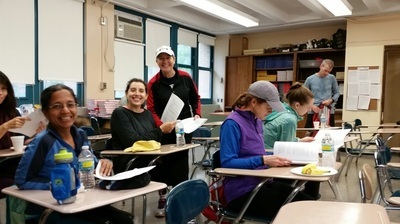 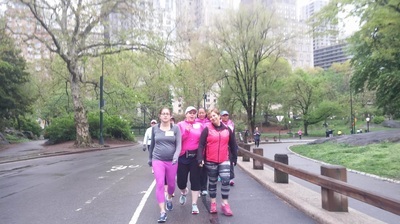 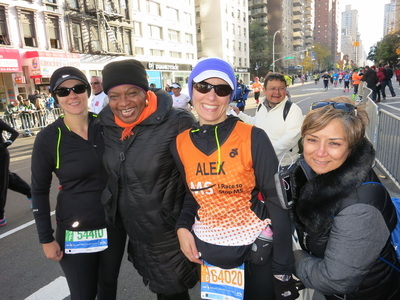 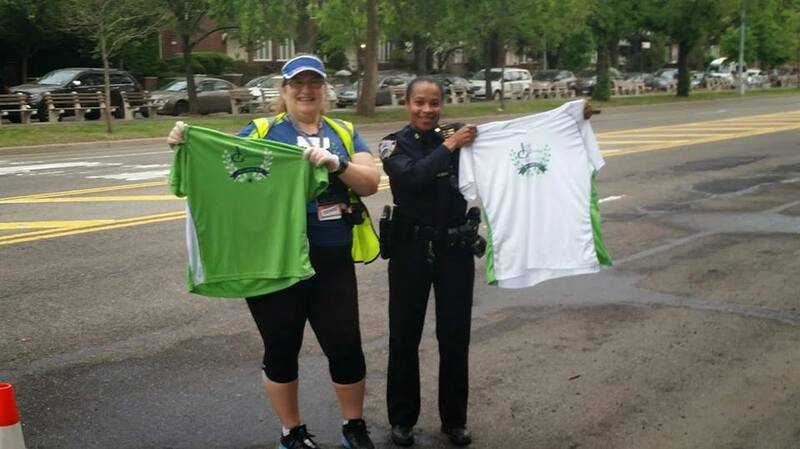 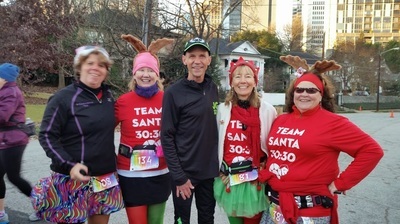 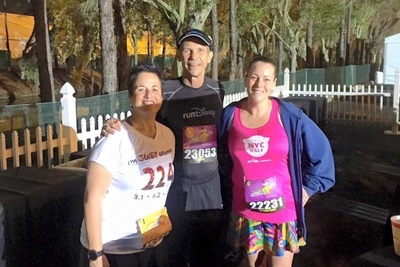 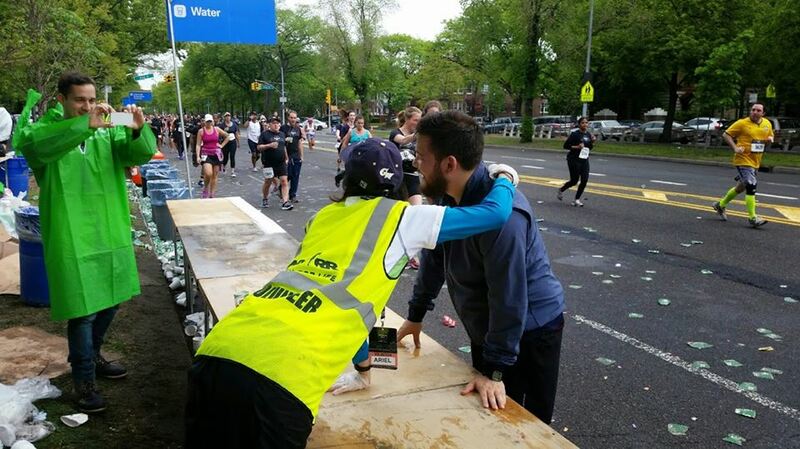 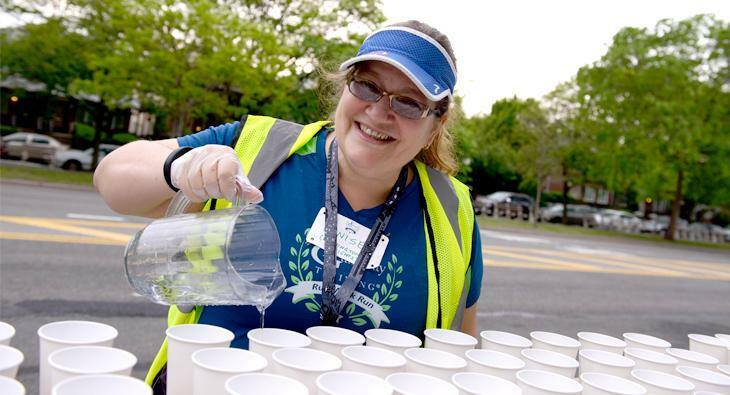 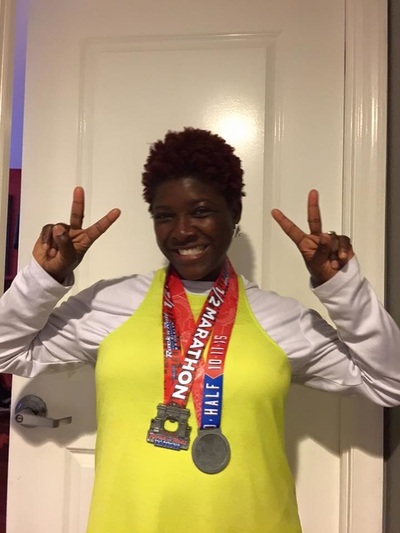 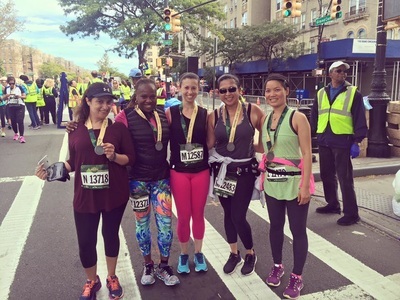 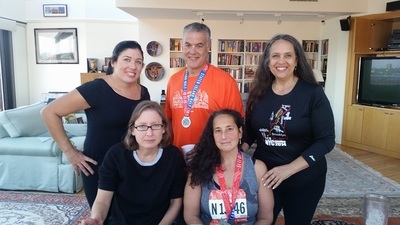 Volunteering as a team increases camaraderie, promotes the Galloway NYC running club to the community, and lets us earn some benefits for the team while giving back. 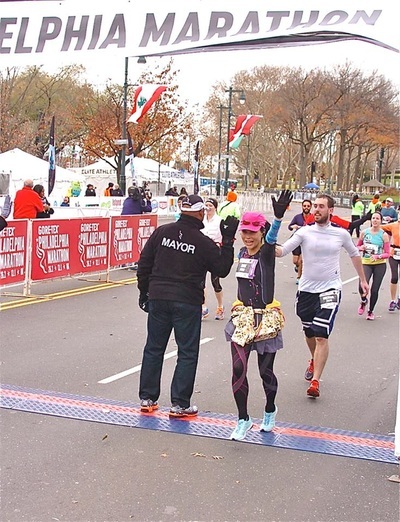 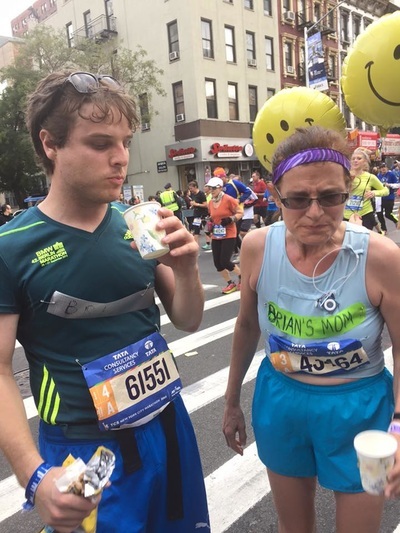 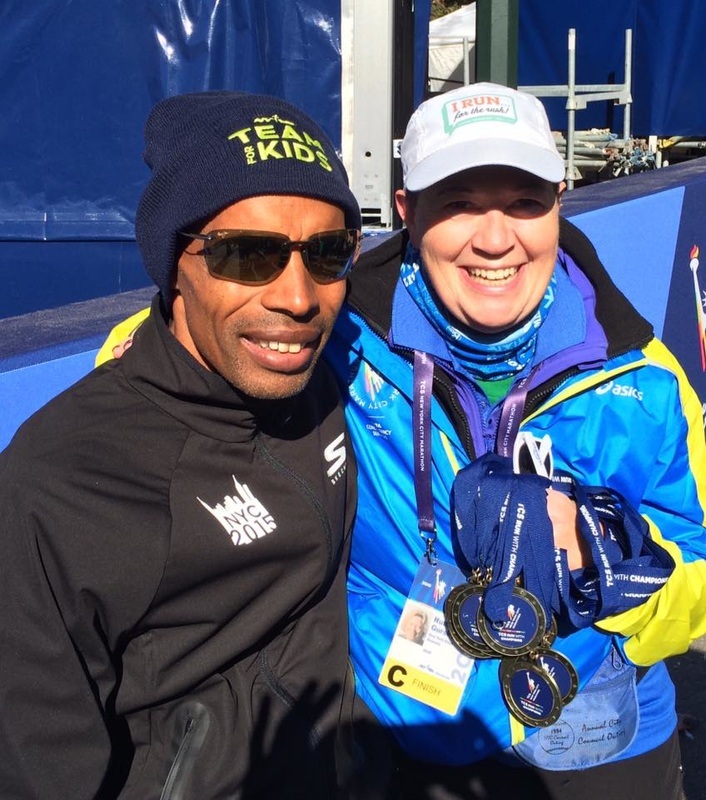 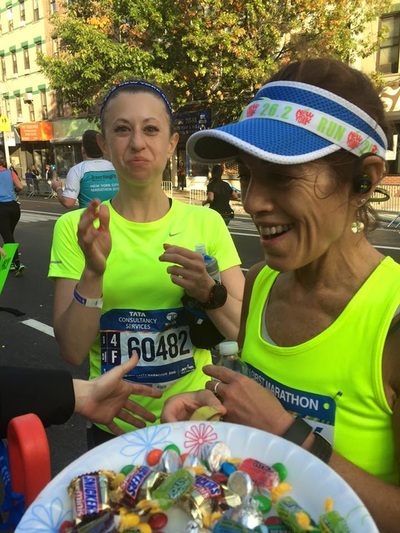 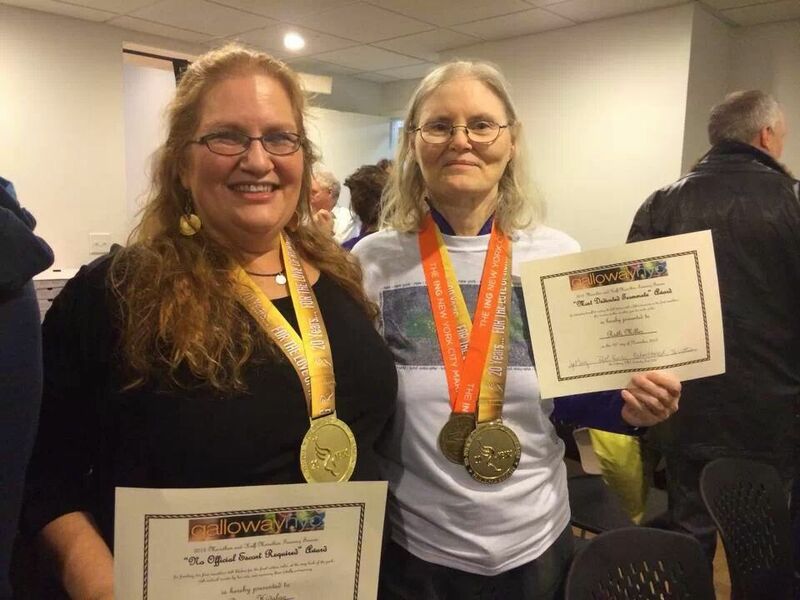 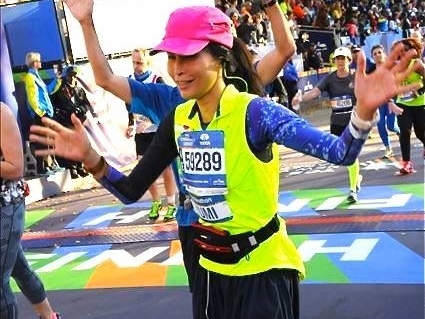 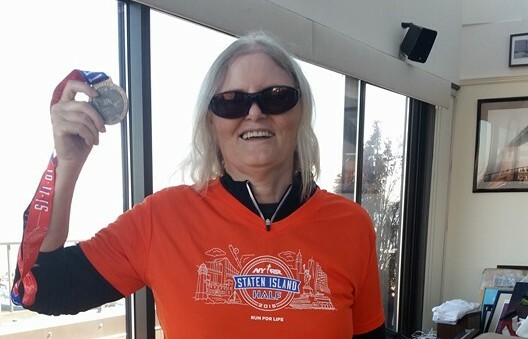 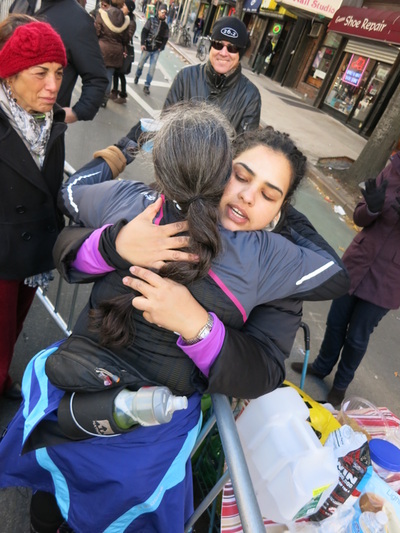 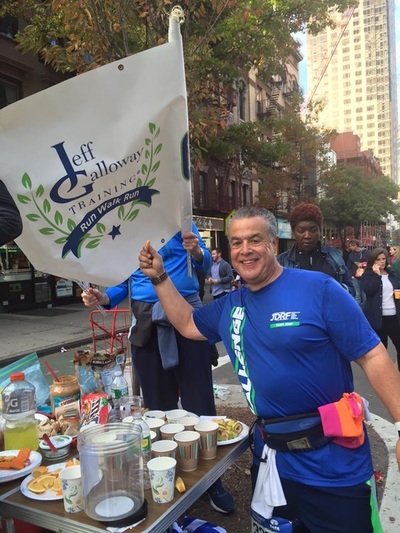 Each volunteer receives +1 volunteer credit and guaranteed entry into the 5-boro race for 2017 (not the marathon, of course)... plus, for each 20 people who sign up at the Galloway fluid station and check in on race day, we earn one guaranteed 2017 NYC Marathon bib for the team, which will be raffled off to those who volunteer as part of the team. 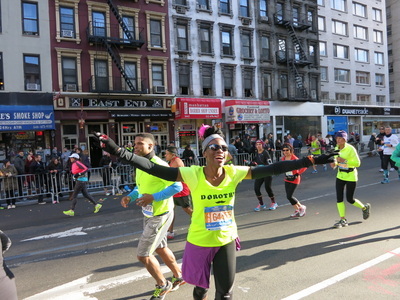 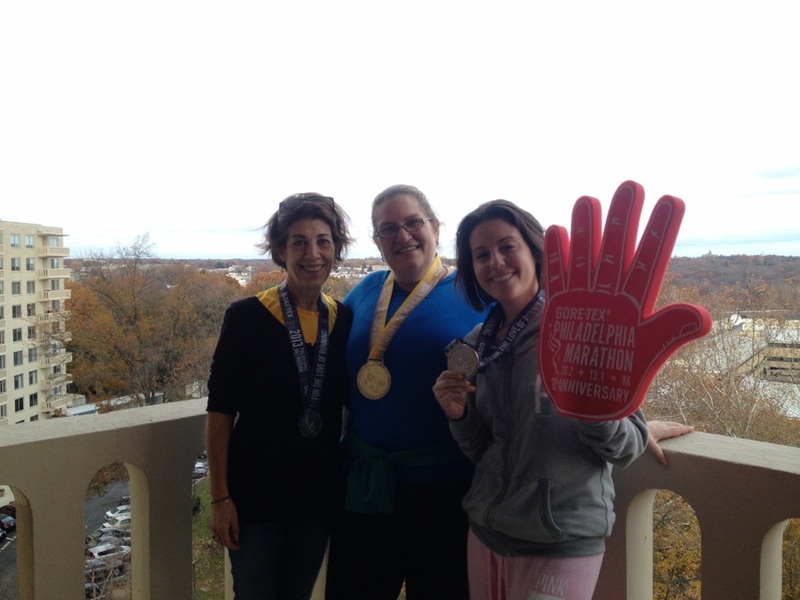 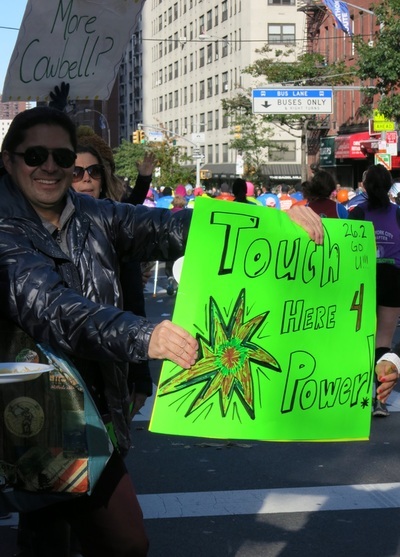 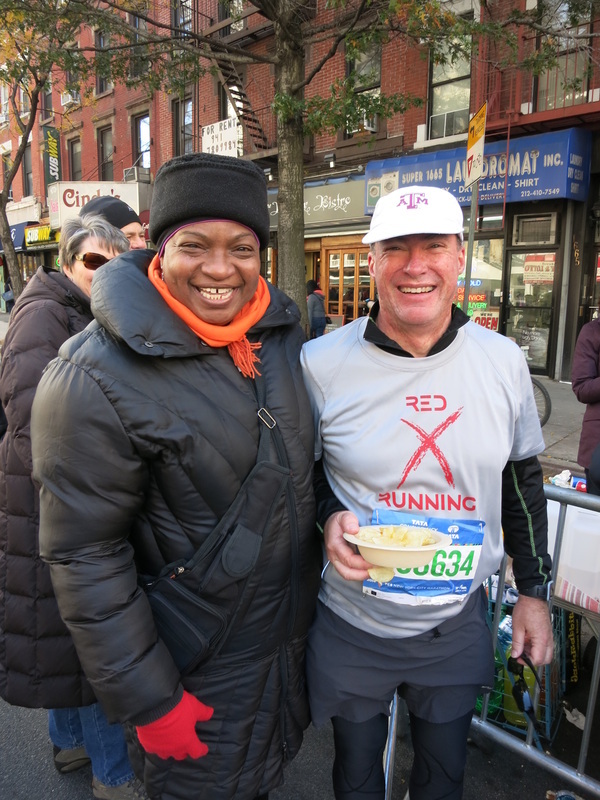 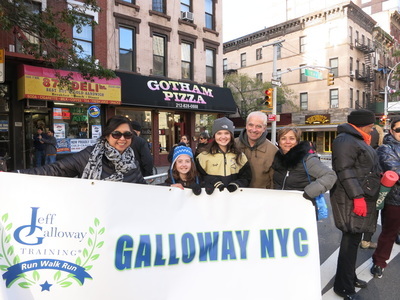 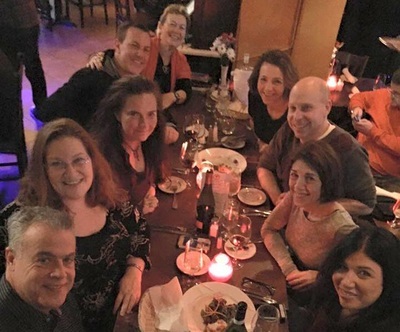 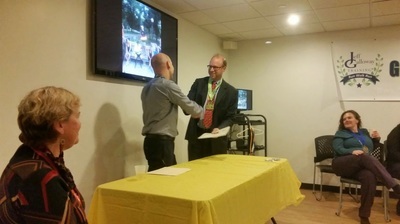 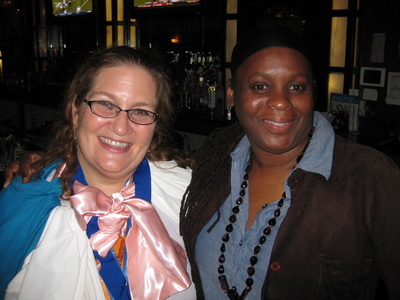 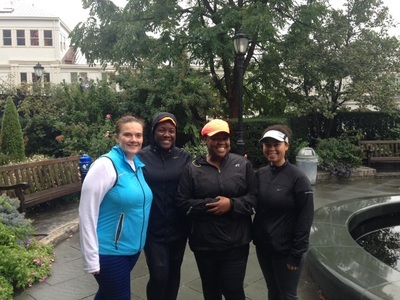 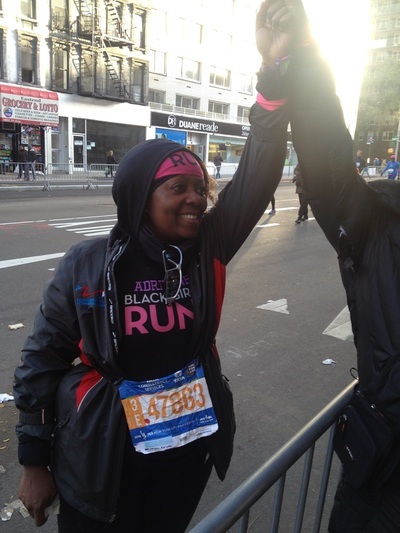 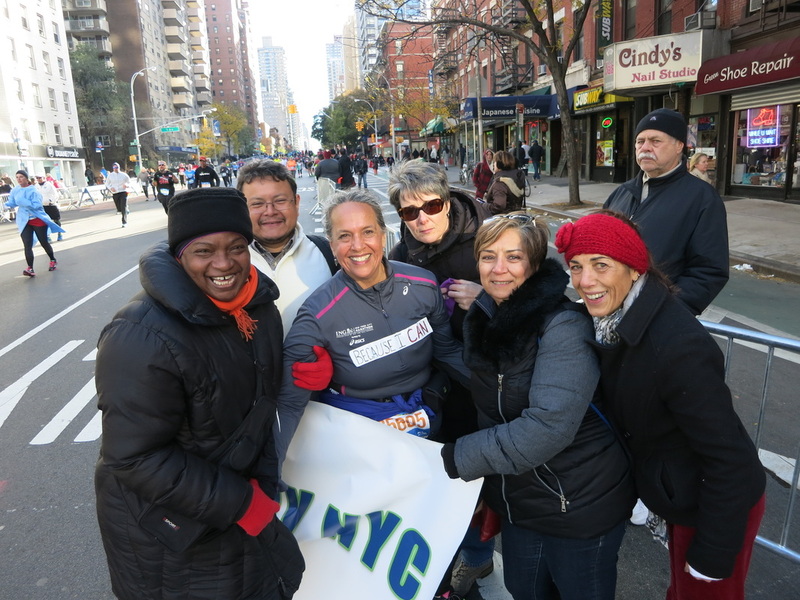 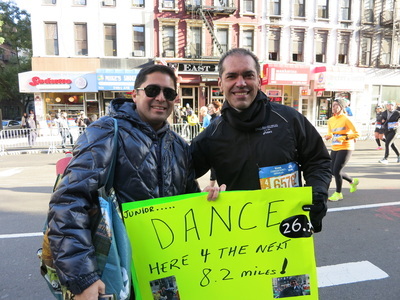 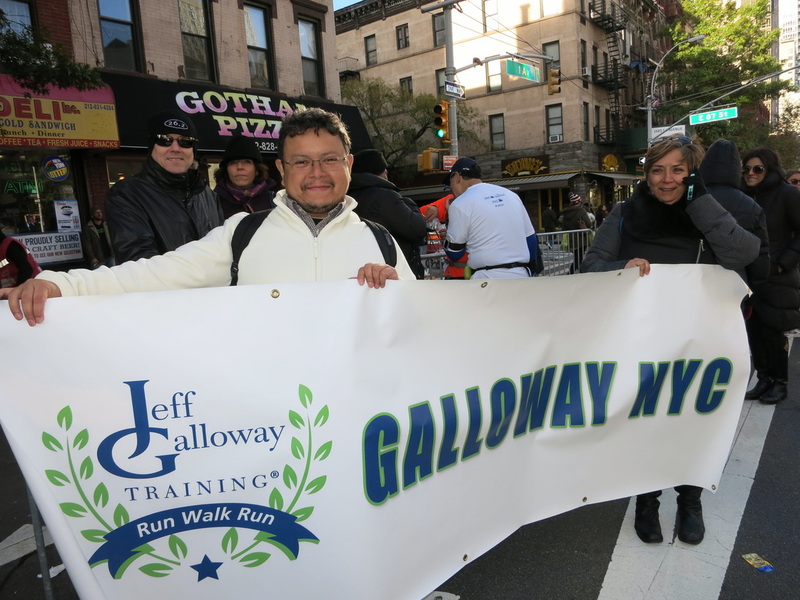 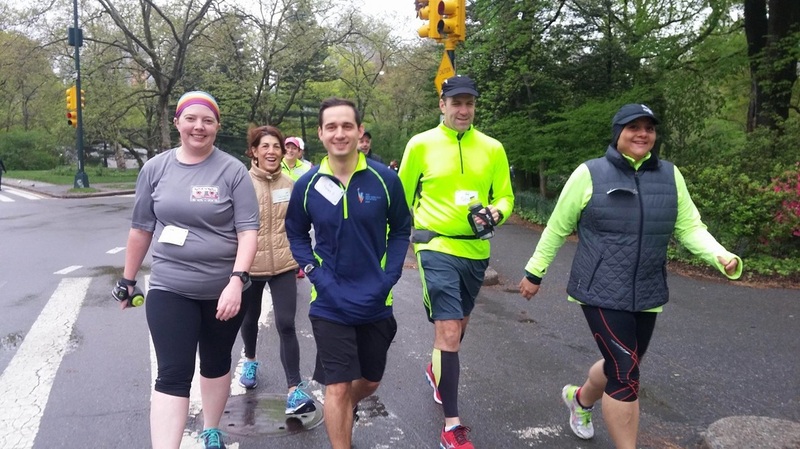 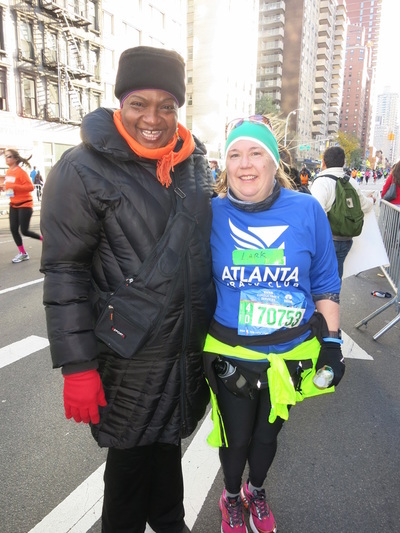 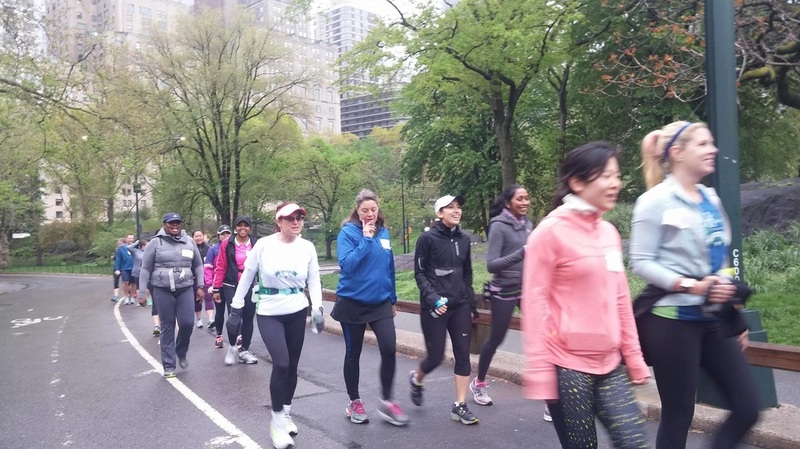 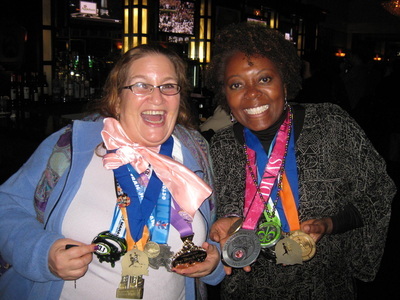 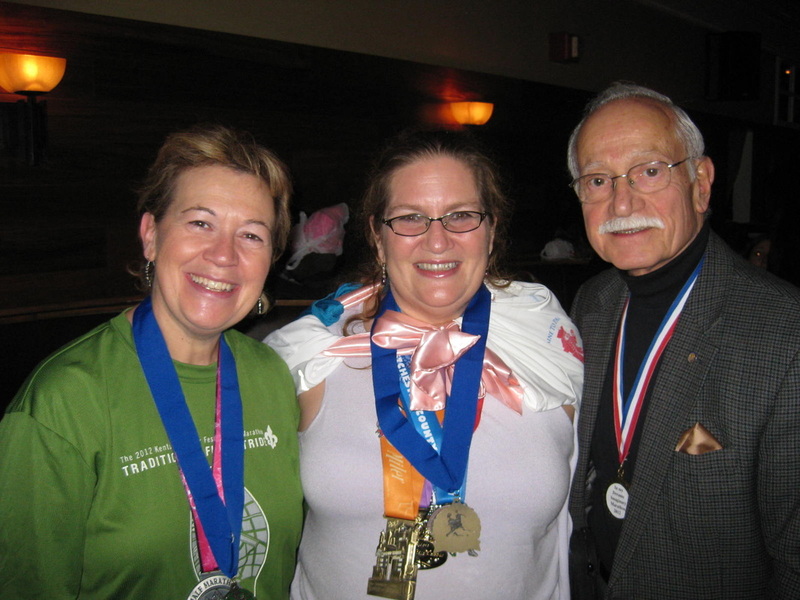 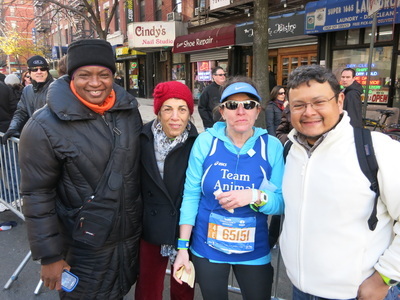 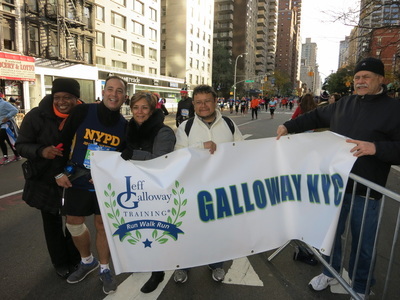 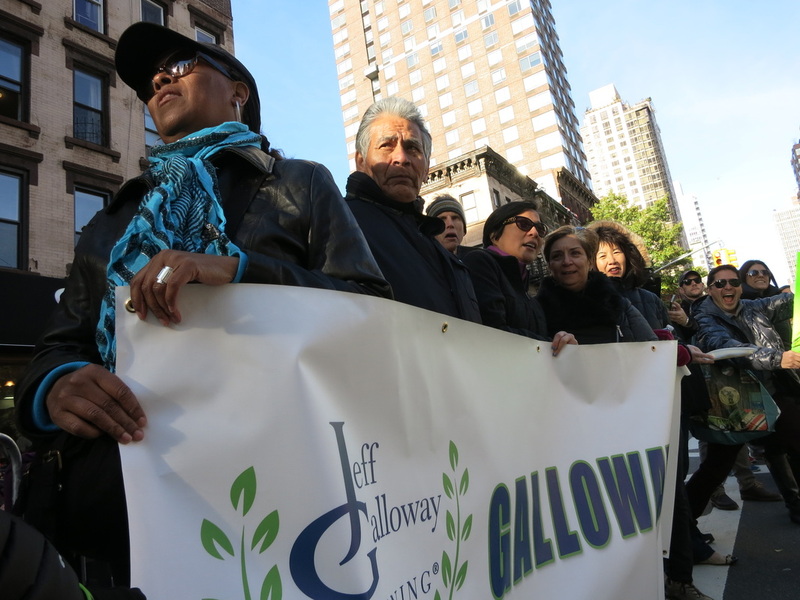 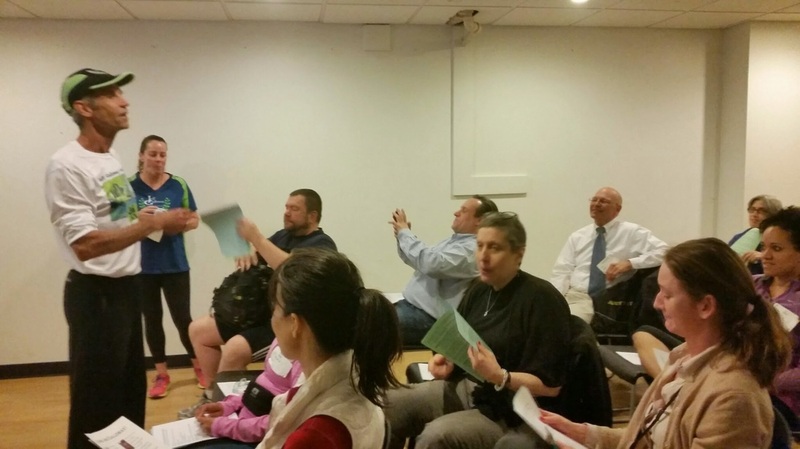 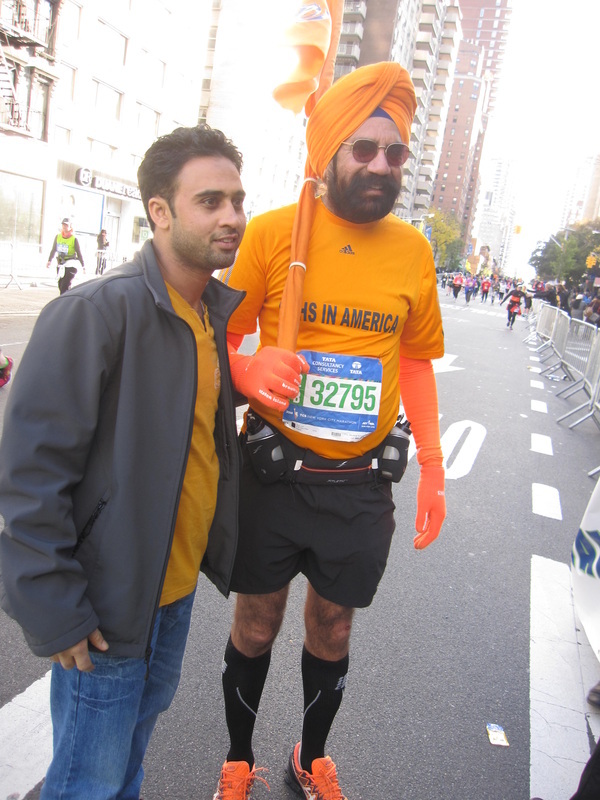 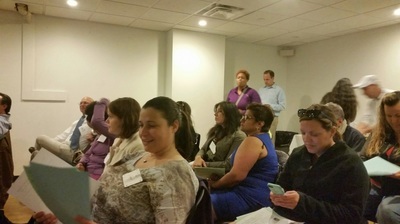 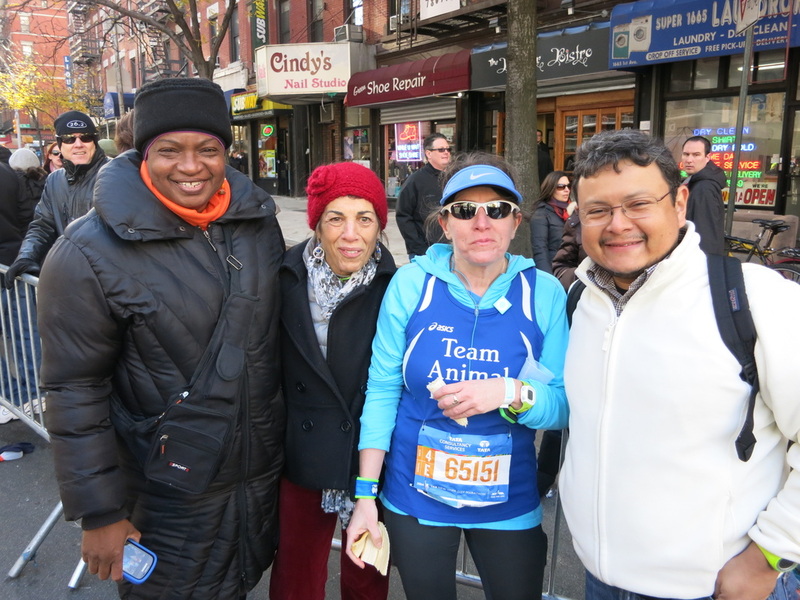 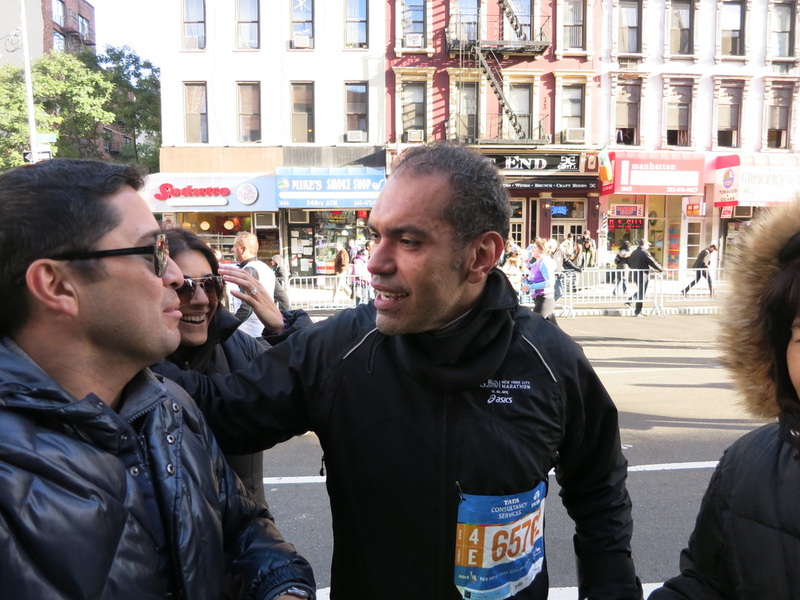 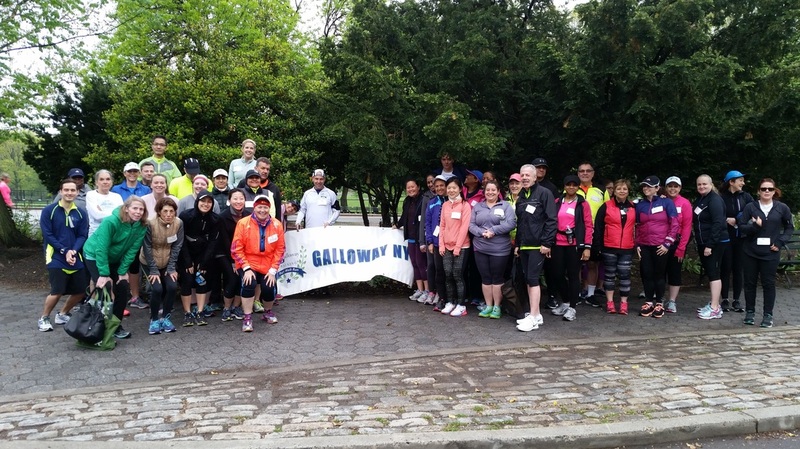 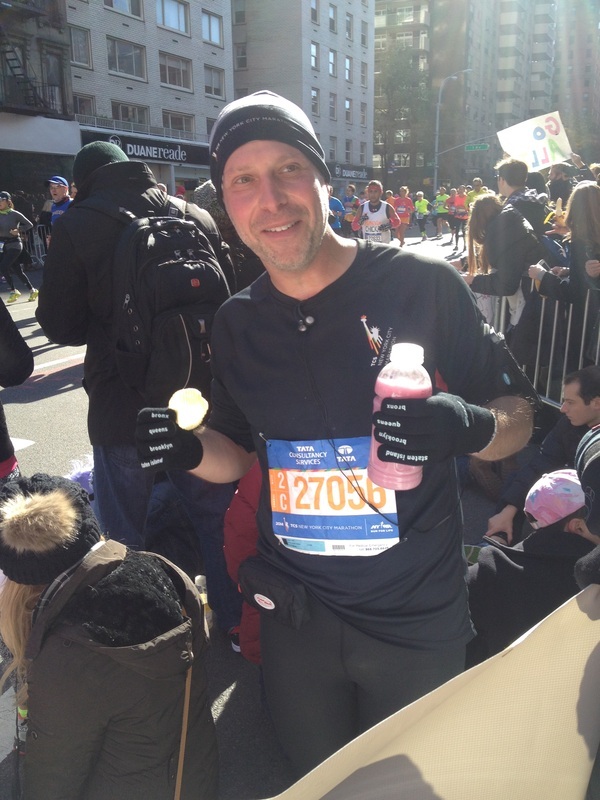 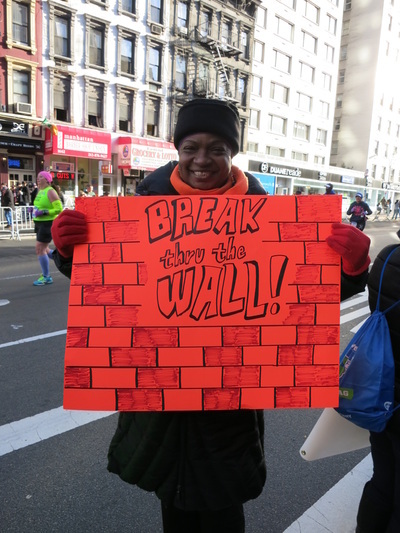 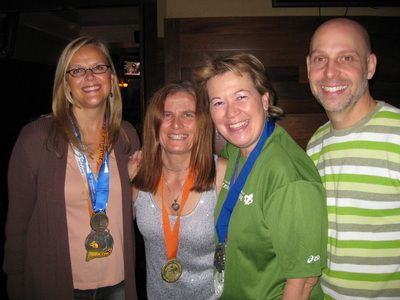 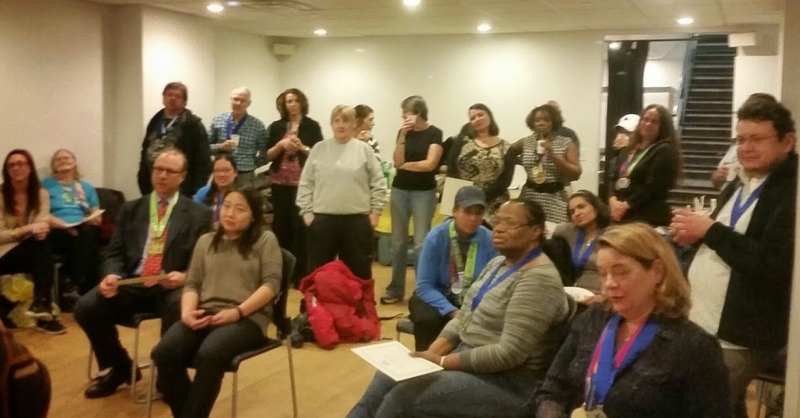 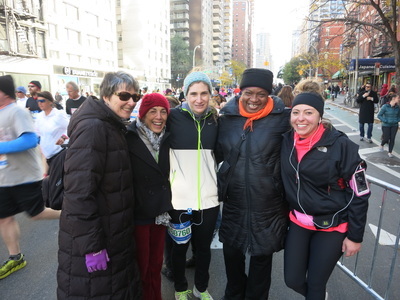 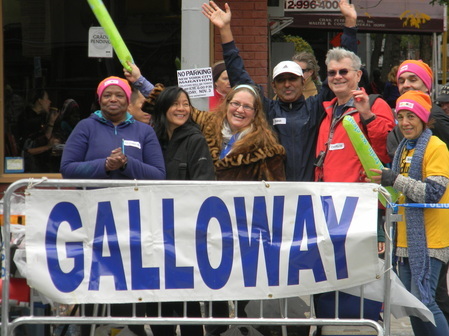 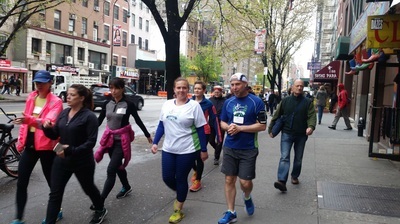 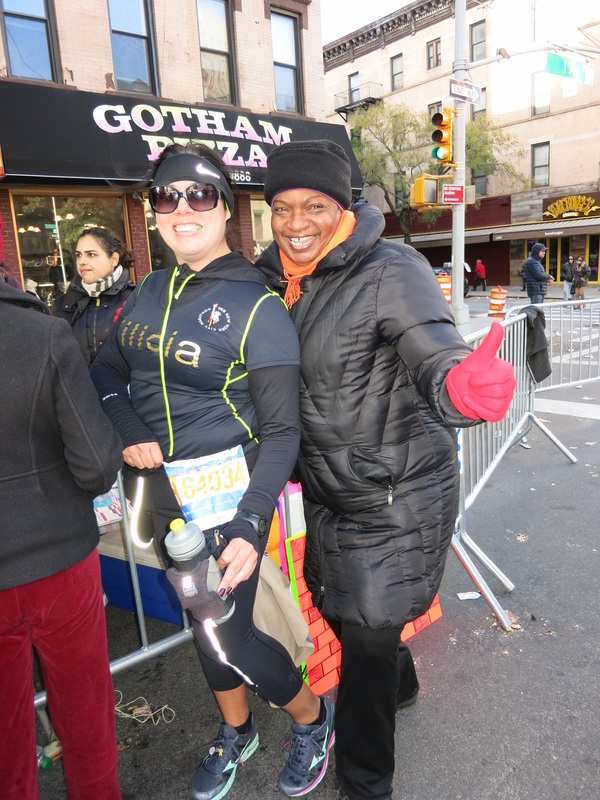 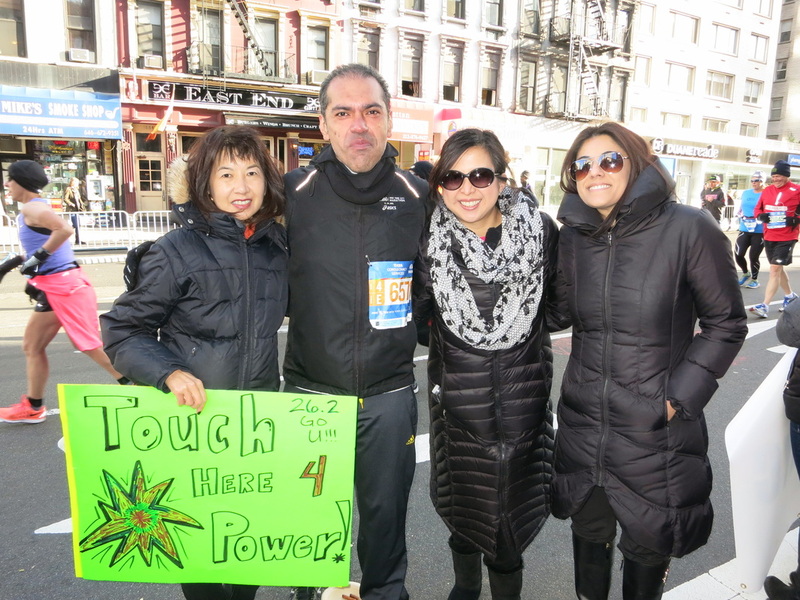 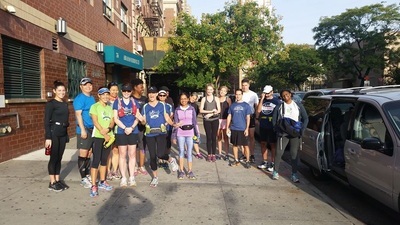 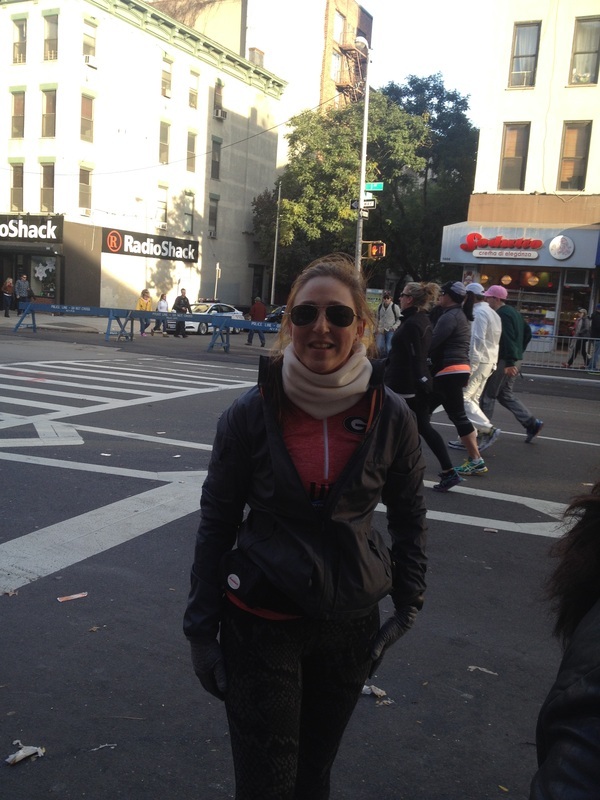 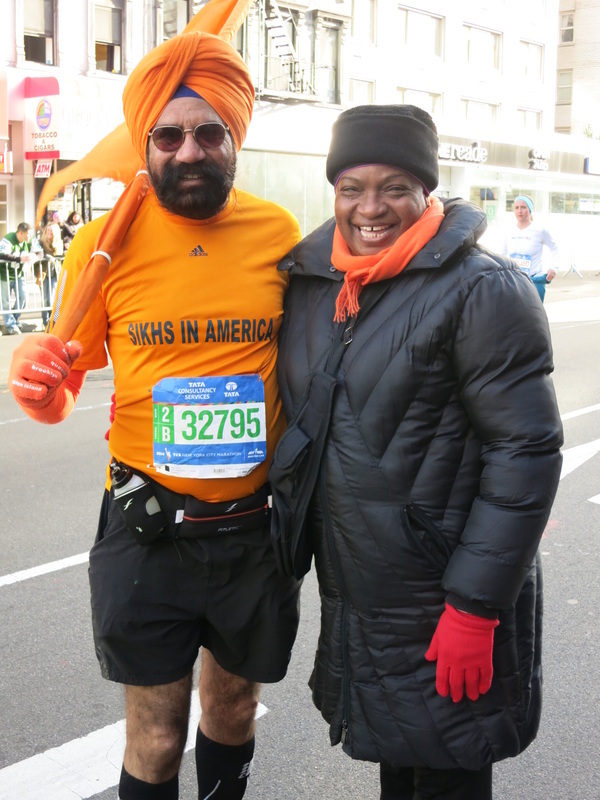 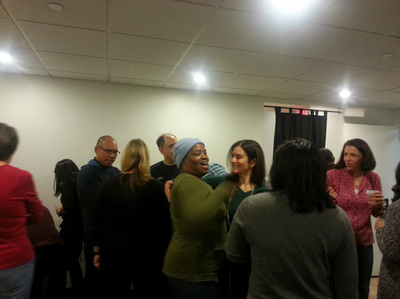 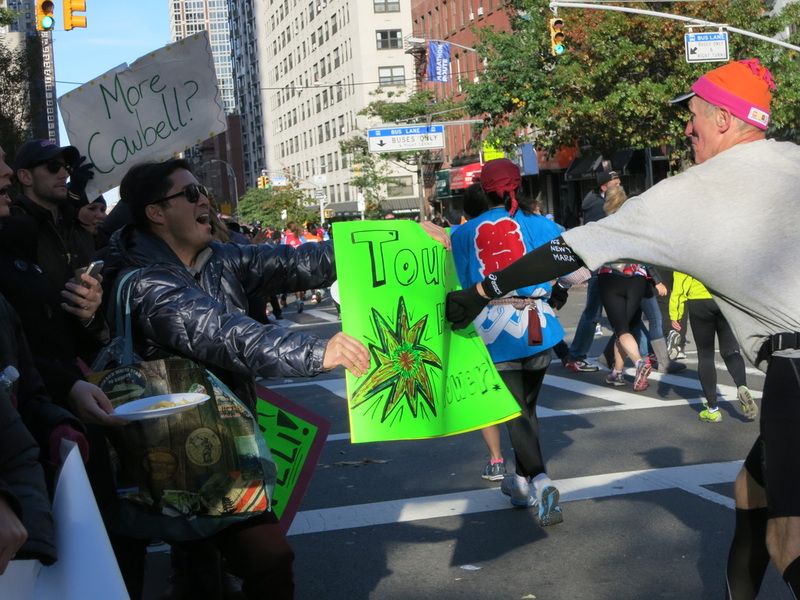 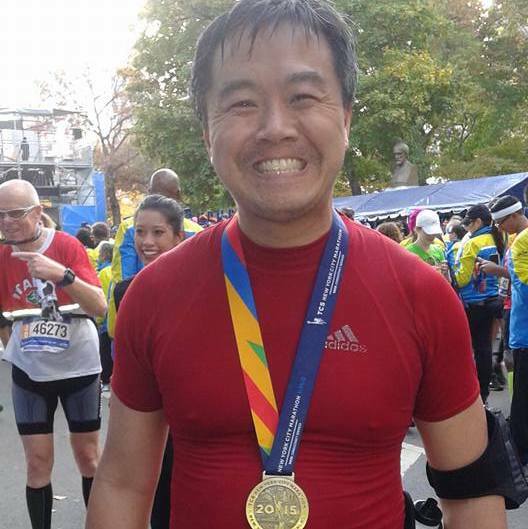 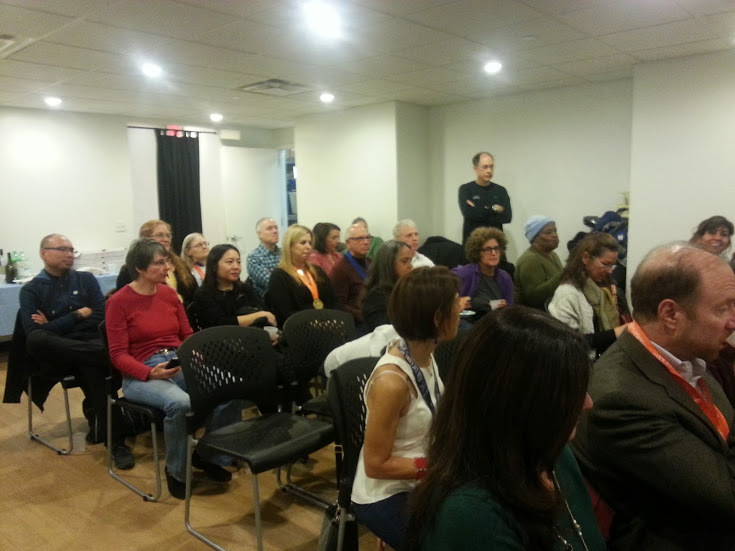 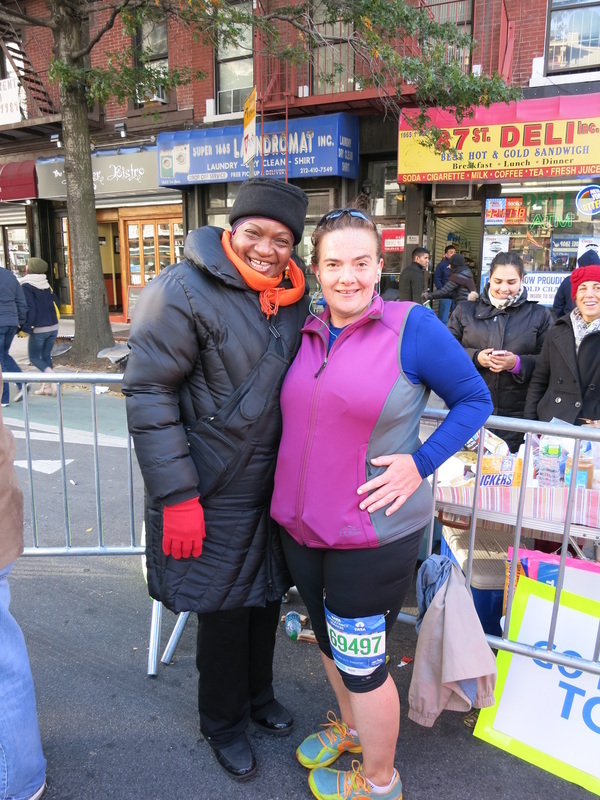 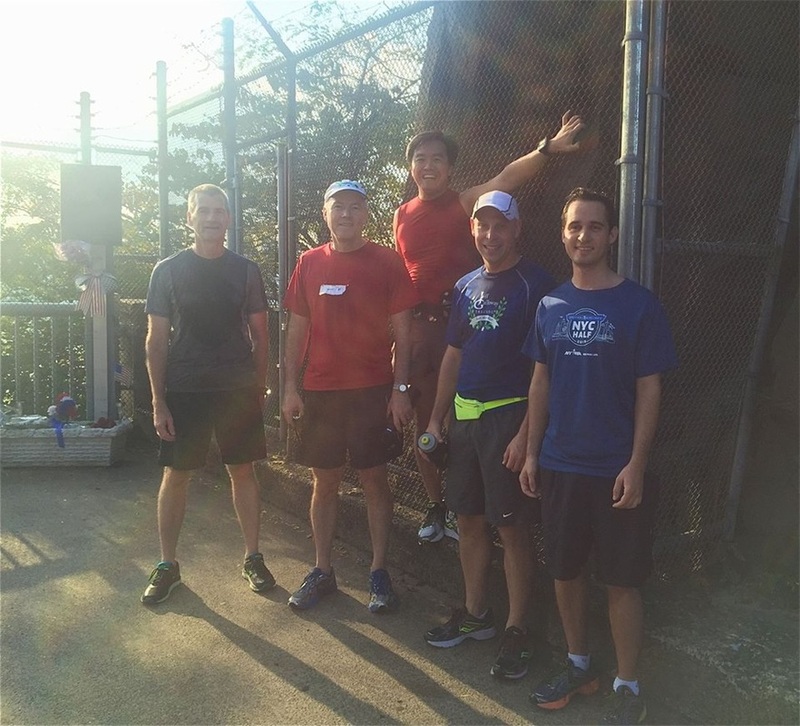 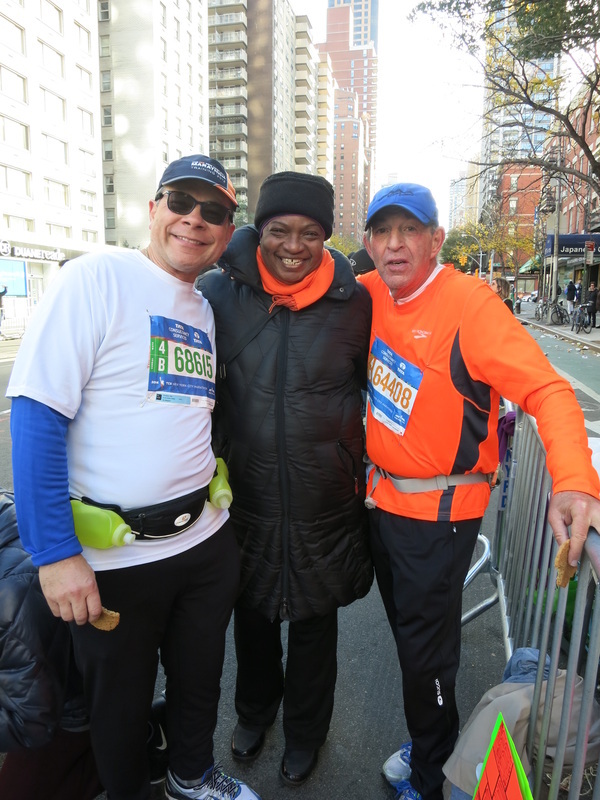 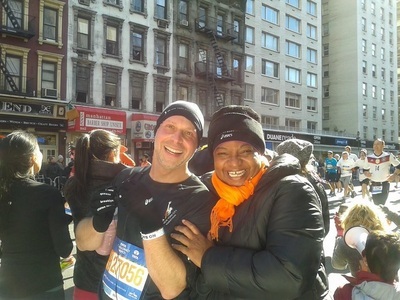 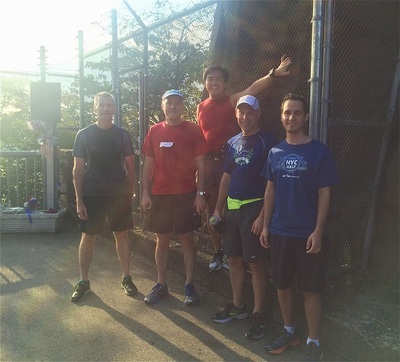 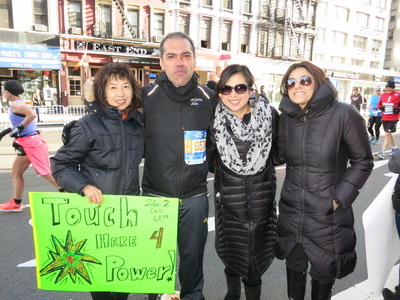 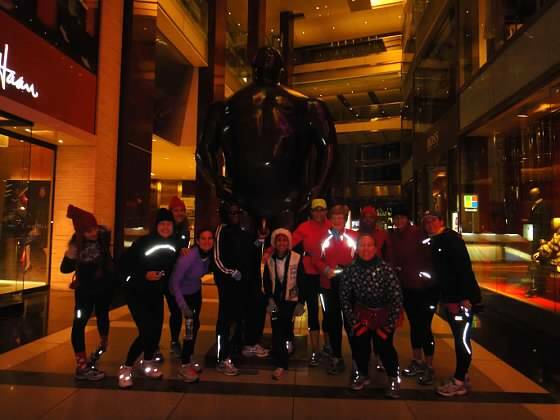 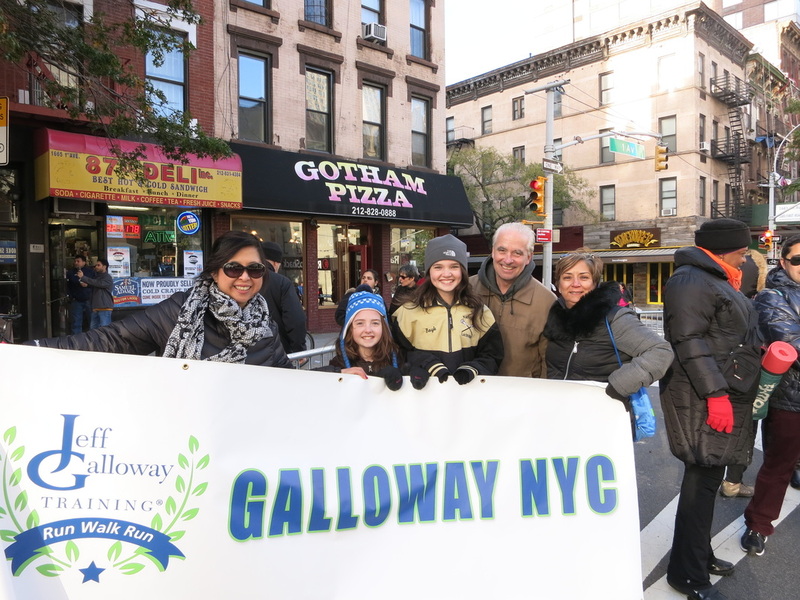 Galloway NYC welcomed many new runners -- and many returning members! 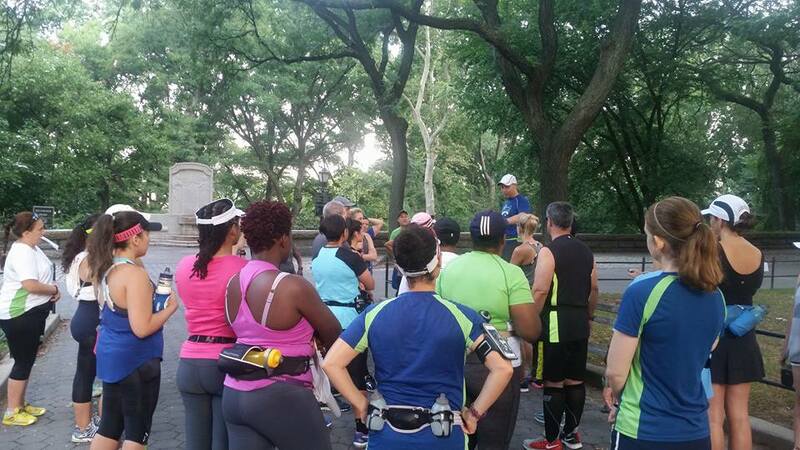 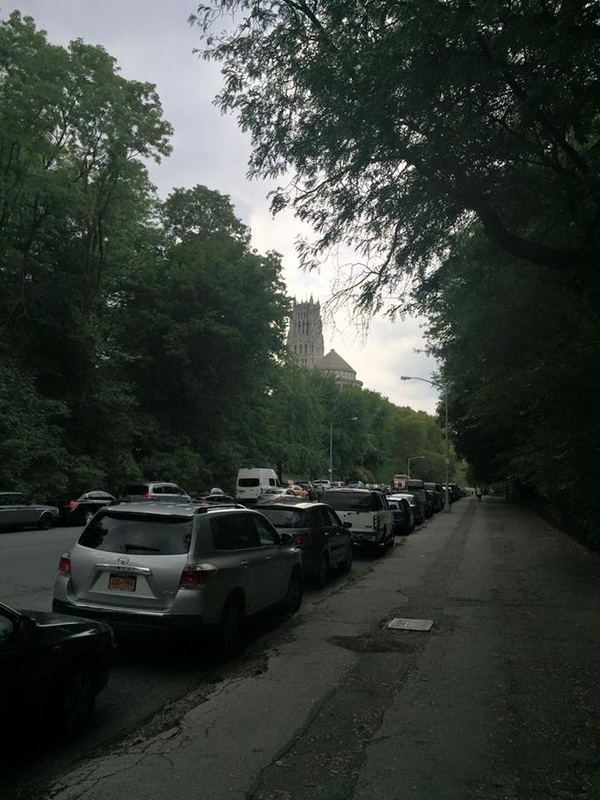 -- to a beautiful first run on the lower loop of Central Park. 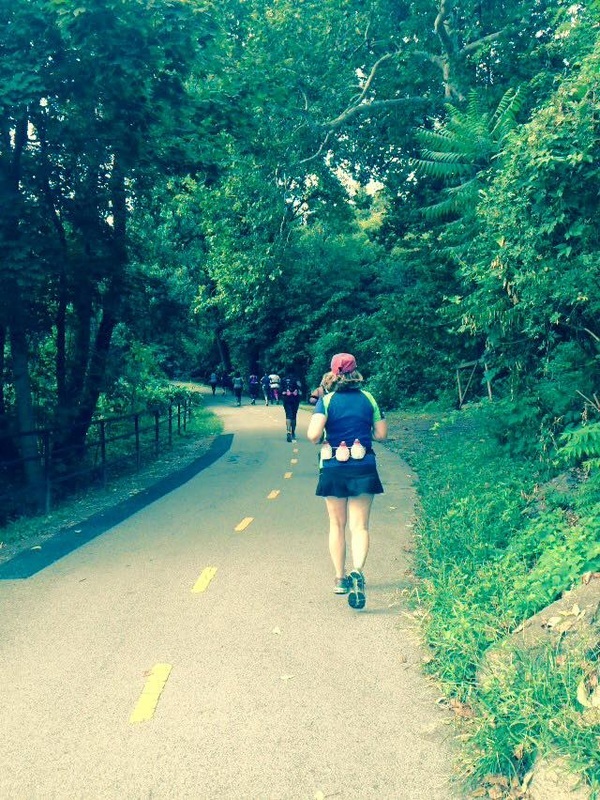 Over the next two weeks we will do "magic miles" to find our own sweet spot for training pace and intervals. 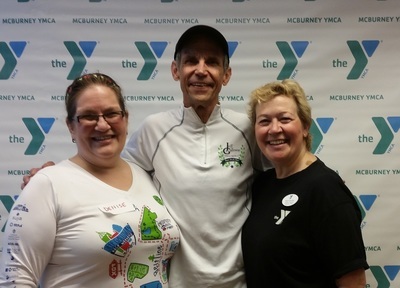 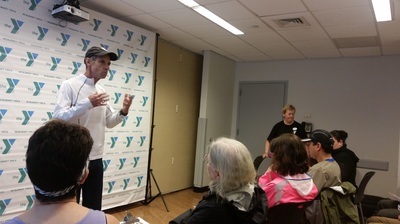 It was a full day at the McBurney YMCA, with Jeff Galloway, the friendly Galloway NYC team members, including Program Directors, Pace Group Leaders and Volunteer Coordinators. 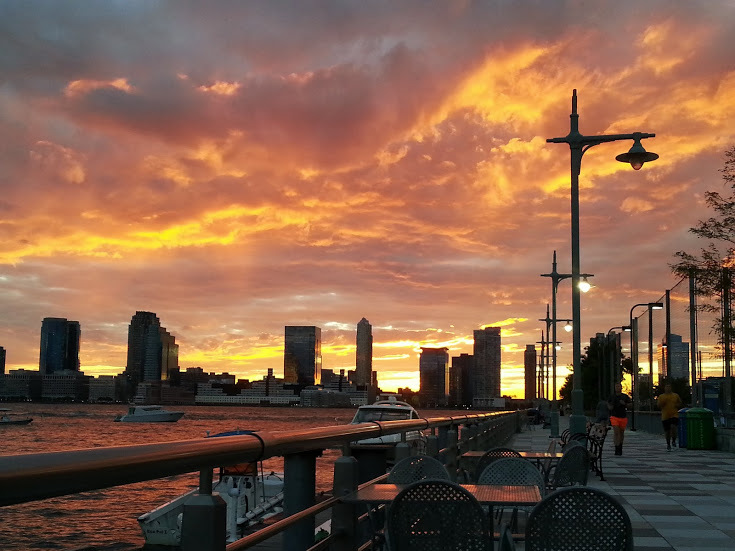 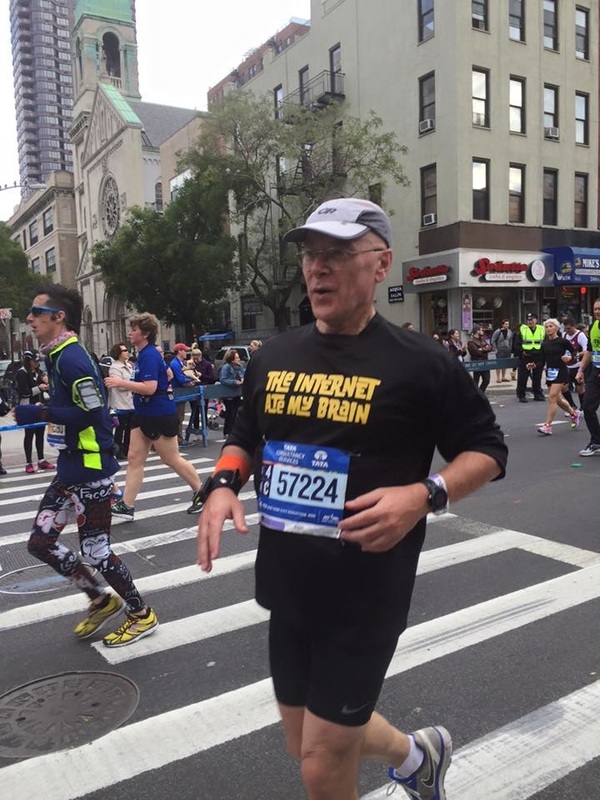 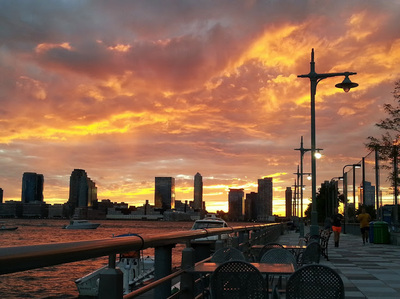 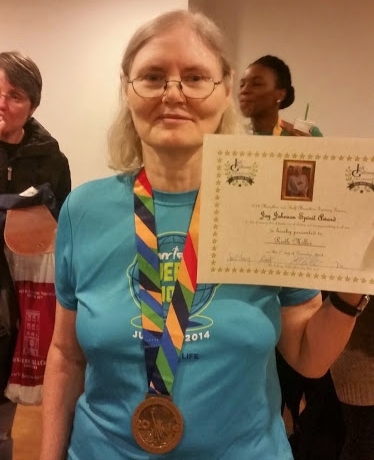 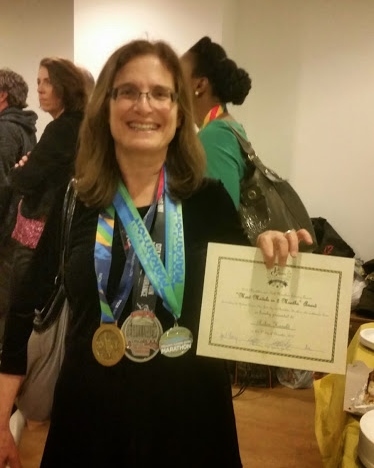 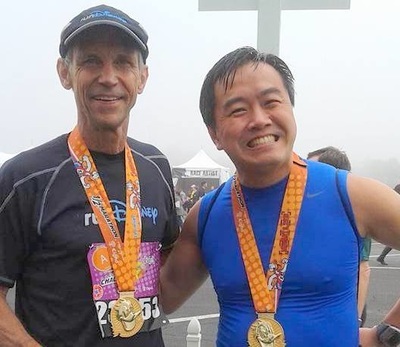 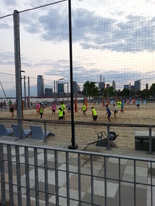 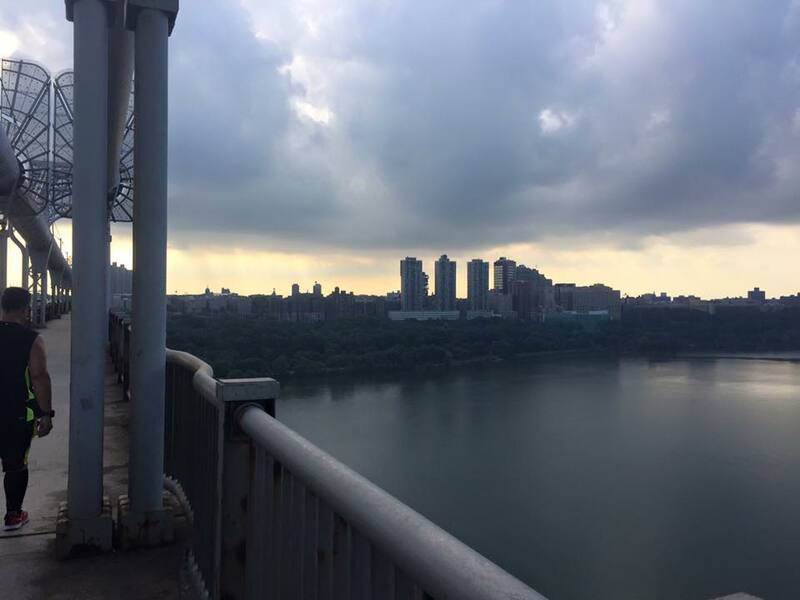 Schedule included: a workshop with Jeff on Exercise & Your Brain" (3:00-4:00pm); a Run-Walk-Run Demo with Jeff on the track (4:00-4:30pm); a fun run with Jeff to Hudson River Park (5:00-6:15pm); and the GALLOWAY NYC RUNNING CLUB KICKOFF with Jeff Galloway and Galloway NYC team members and leaders (6:30-8:00pm). Plus a few in Chicago and Philly as well!! 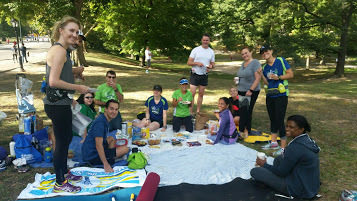 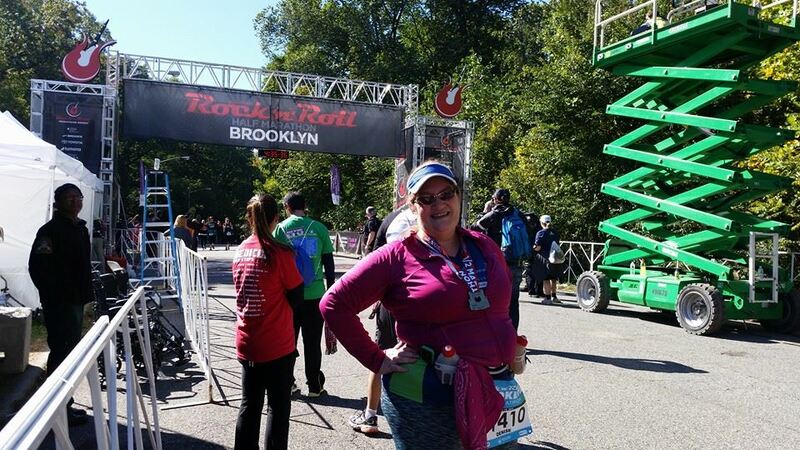 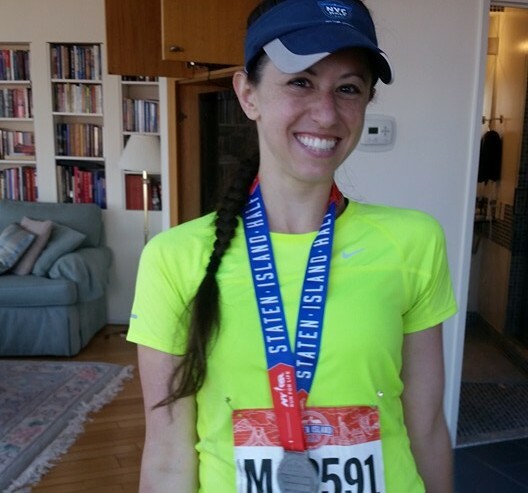 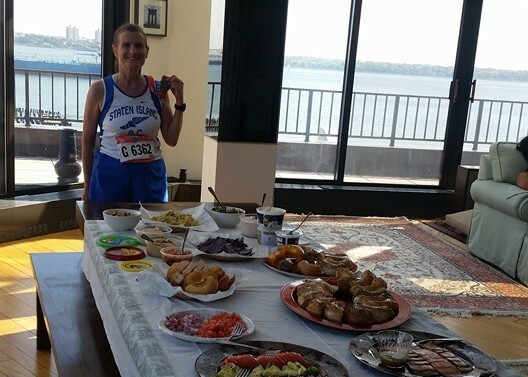 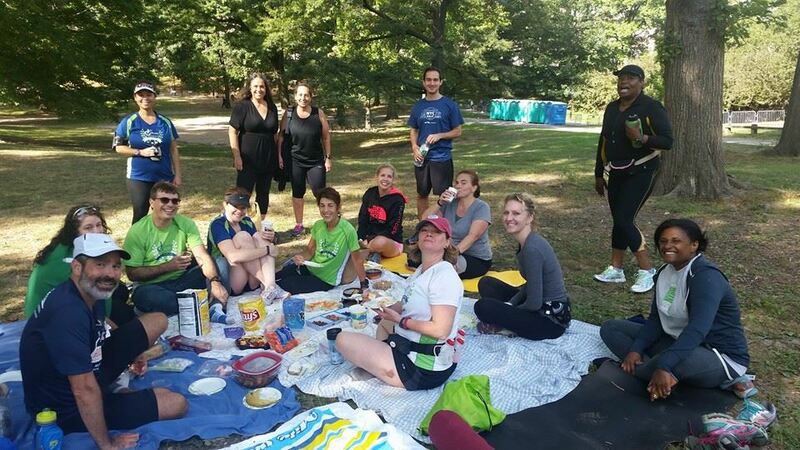 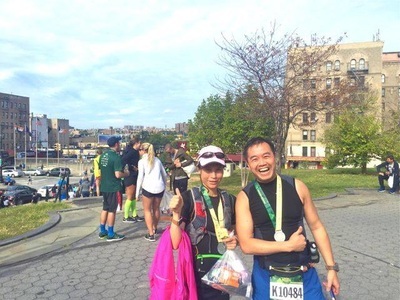 2015 Inaugural Brooklyn Rock-n-Roll Half... NYRR Staten Island Half... Post-Race Picnic!! 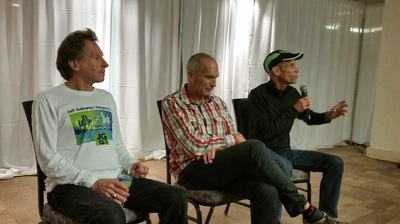 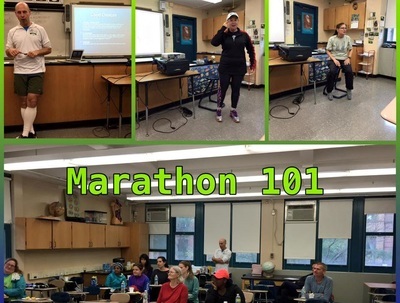 Nice attendance for a delayed, rainy morning run and post-run clinic led by current and former Leadership Team members, covering all aspects of marathon day preparation, including nutrition and gear (nothing new on race day! 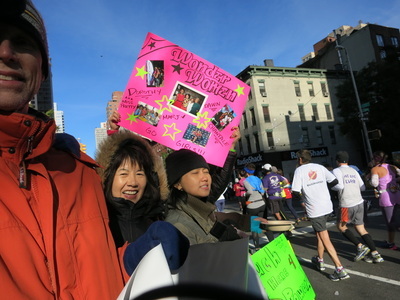 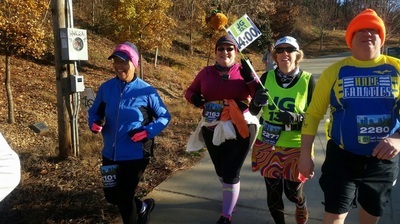 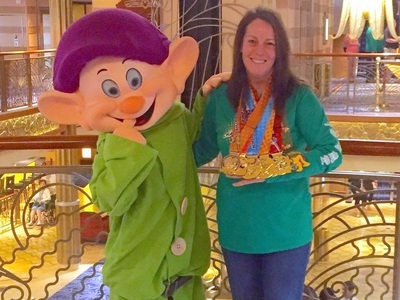 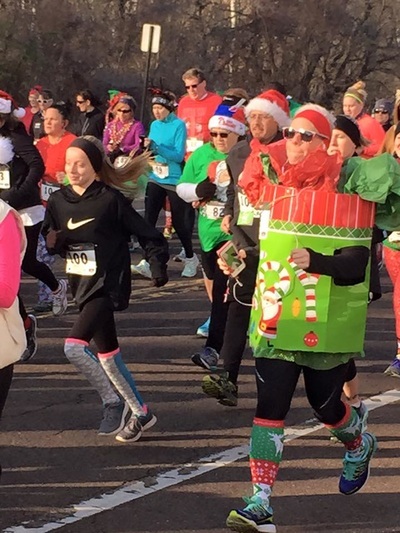 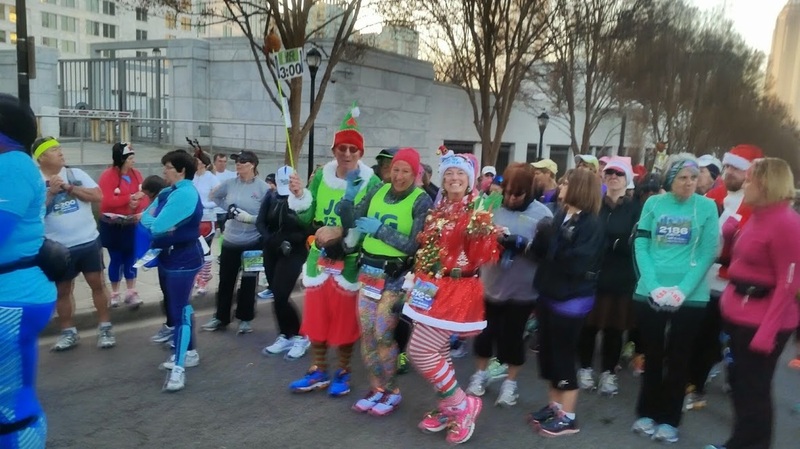 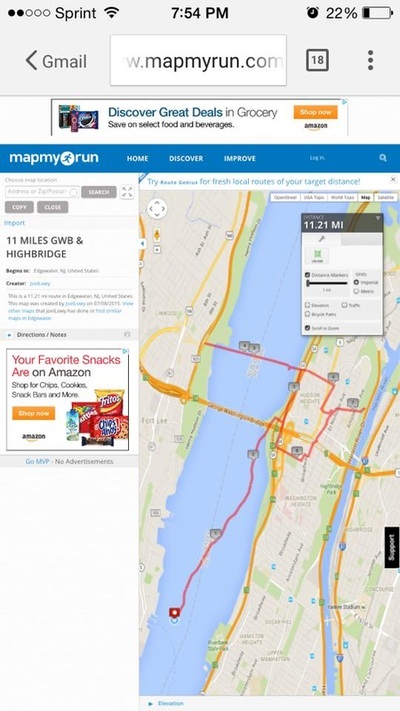 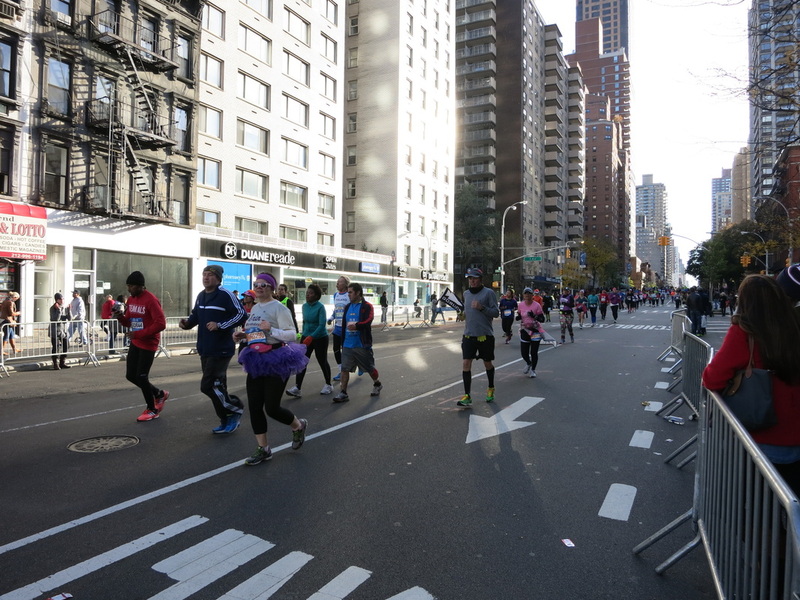 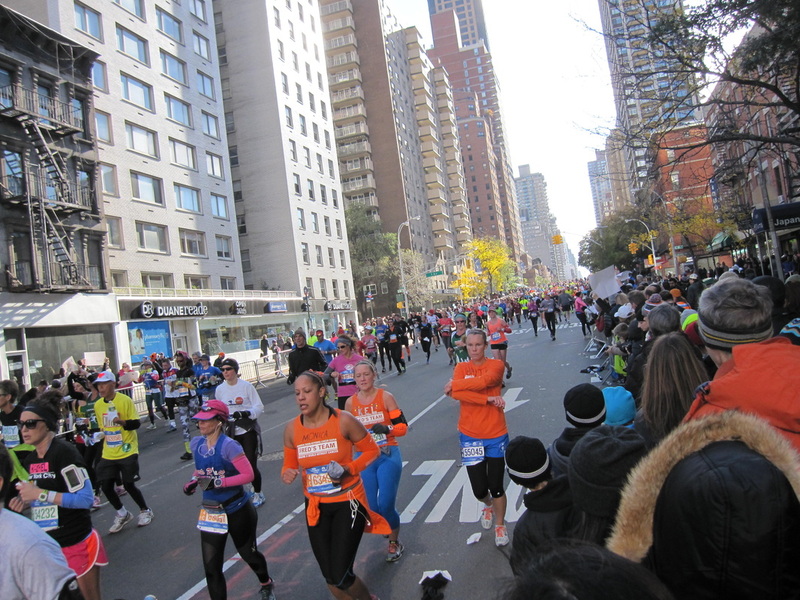 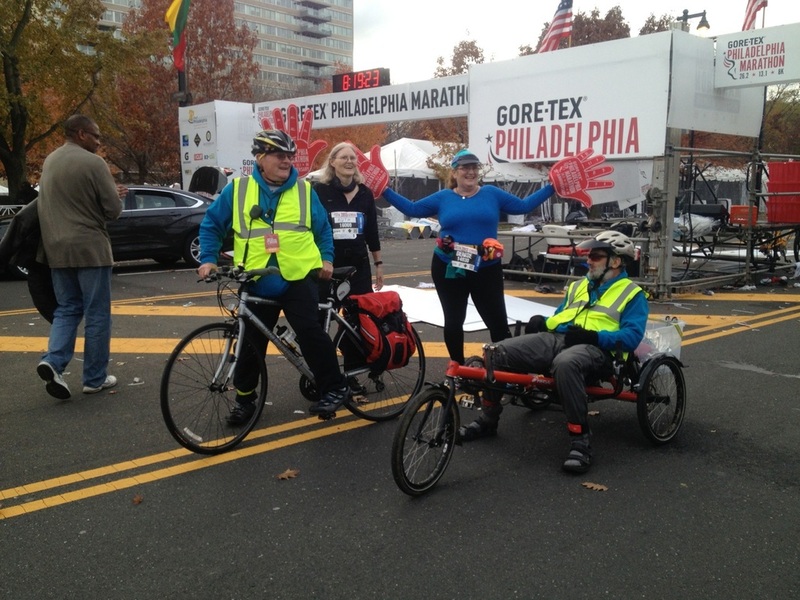 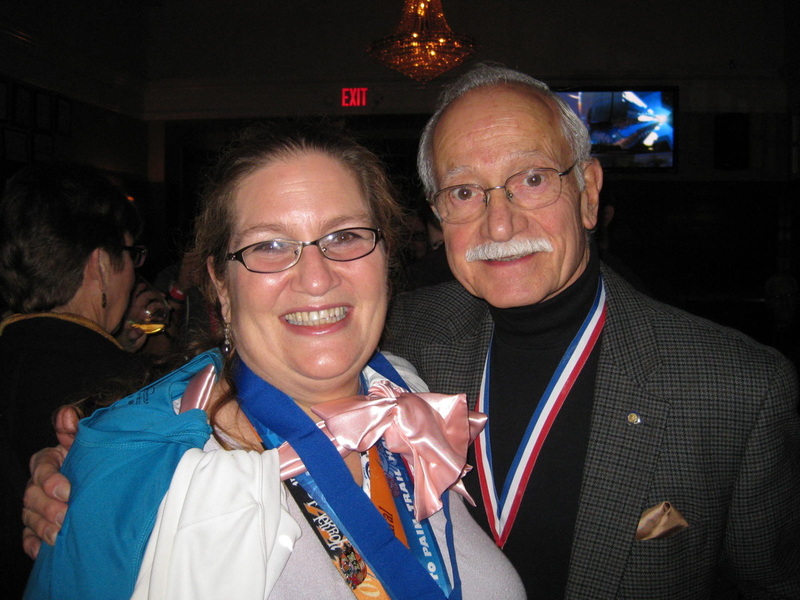 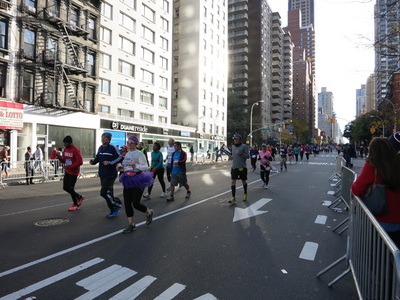 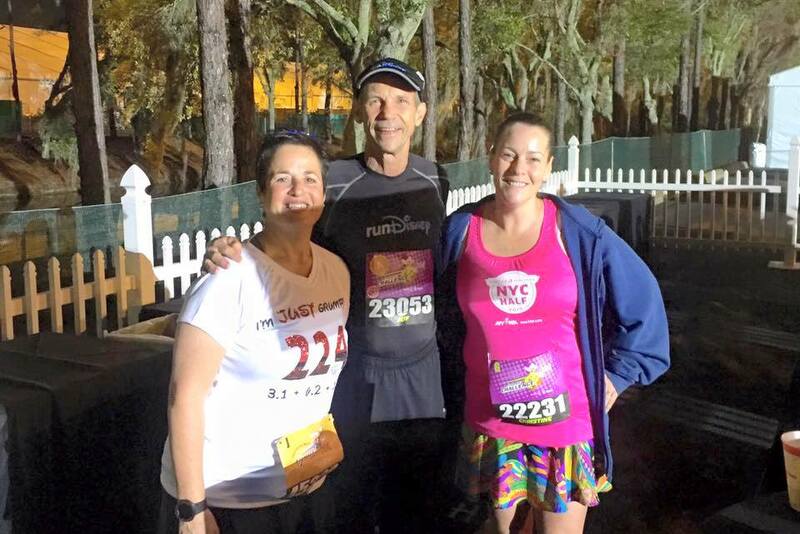 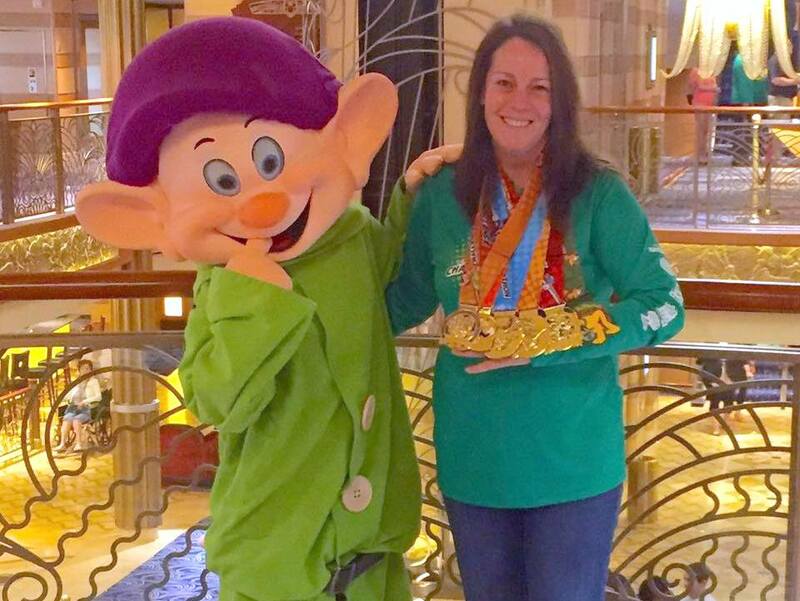 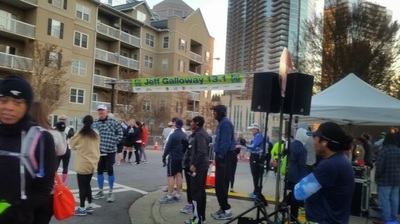 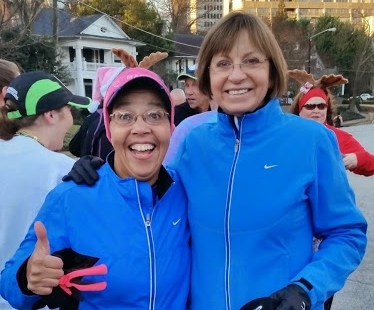 ), a checklist for marathon morning, and a turn-by-turn tour of the course. 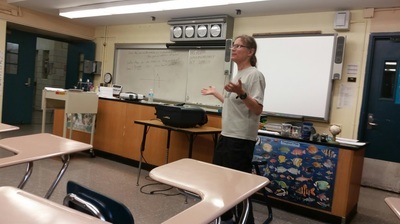 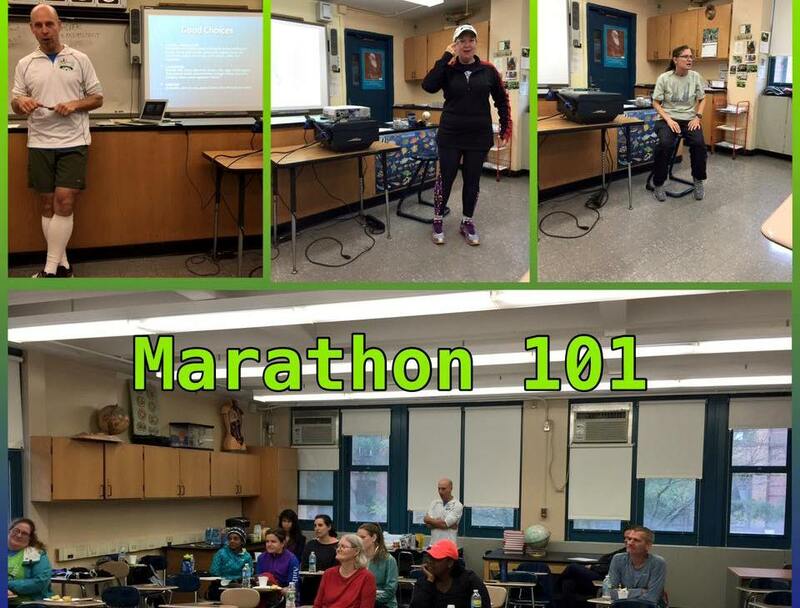 Many thanks to Joel, Ruth and Robin for valuable information and a fun presentation! 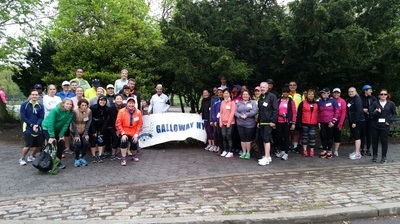 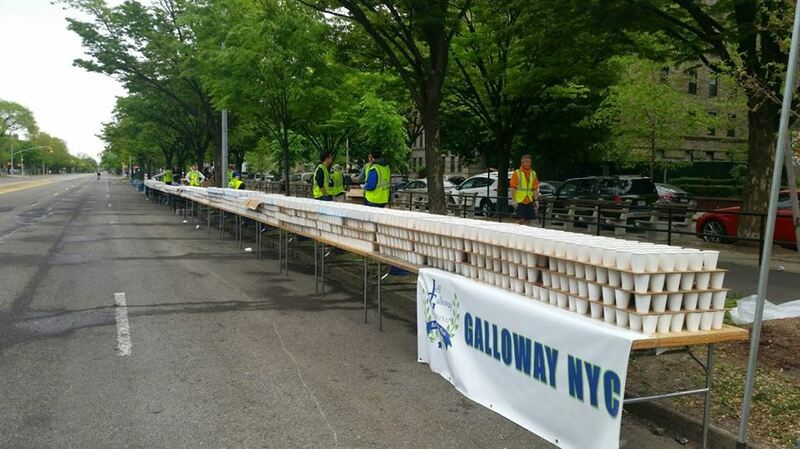 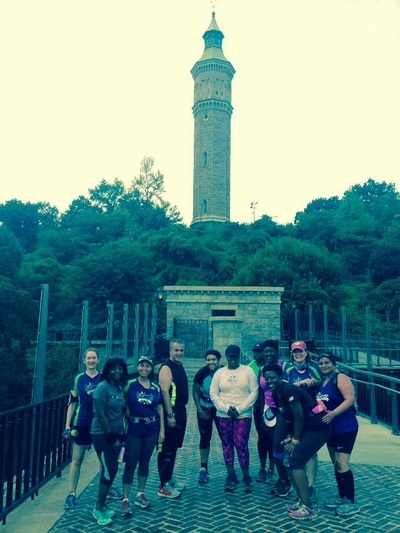 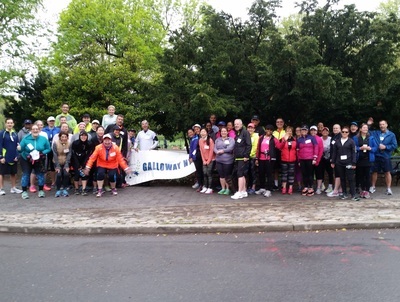 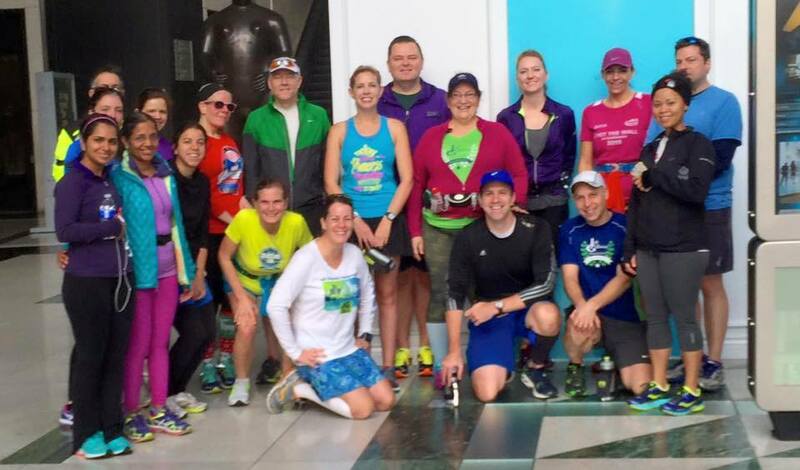 Nearly 40 Galloway NYC Running Club Members in the 2015 Bronx 10 Mile! 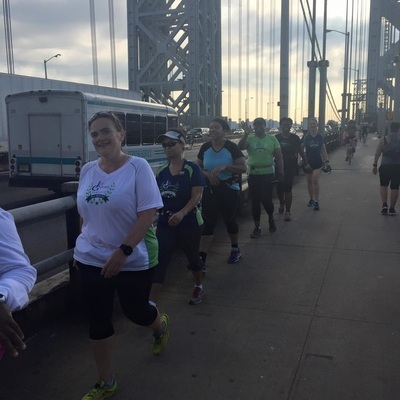 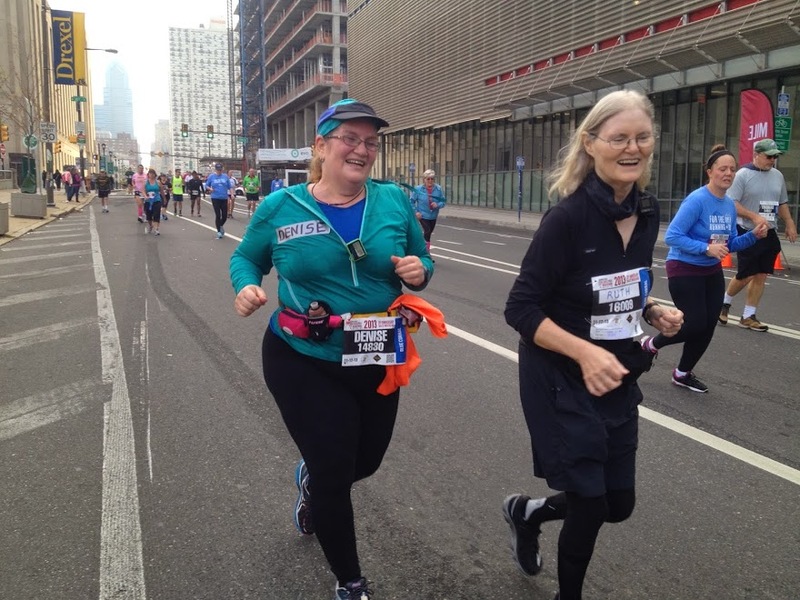 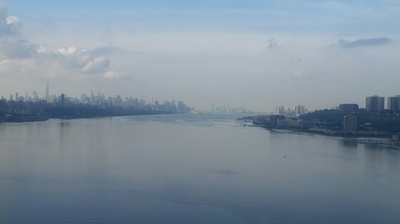 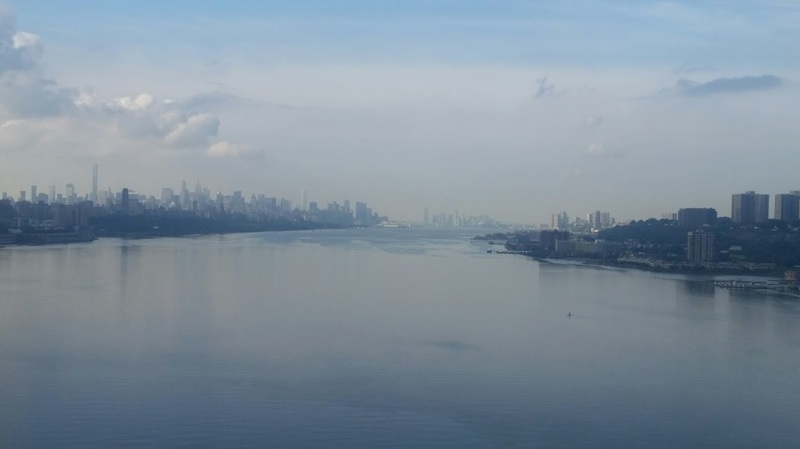 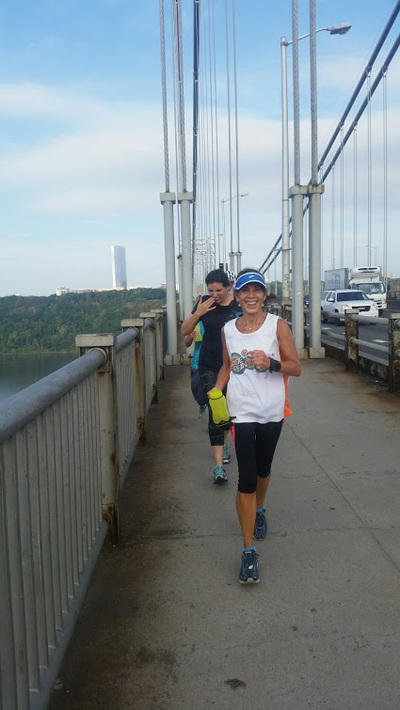 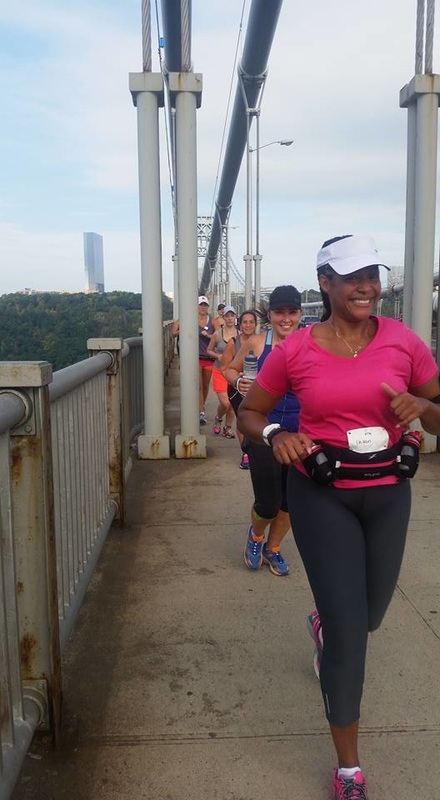 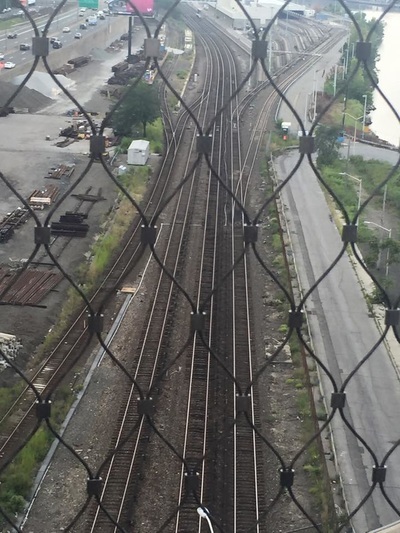 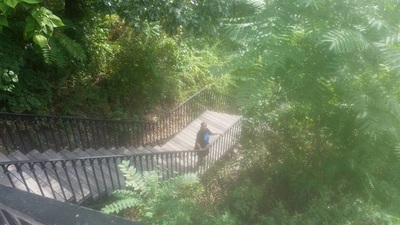 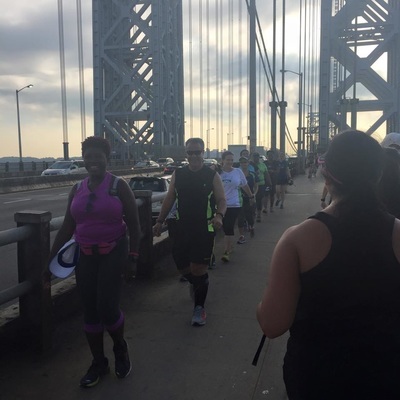 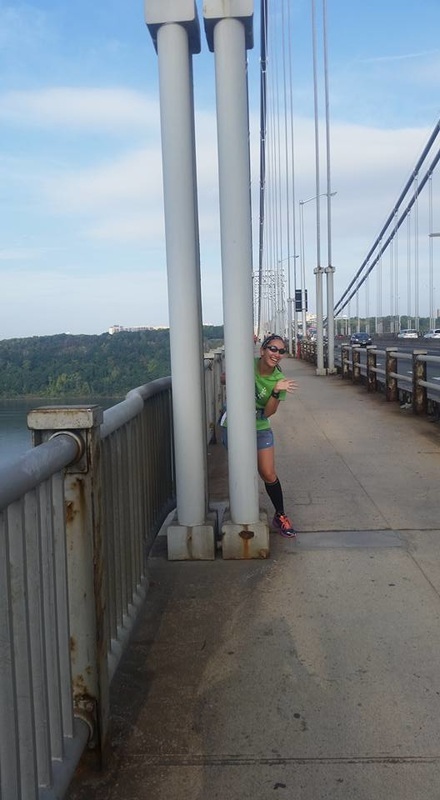 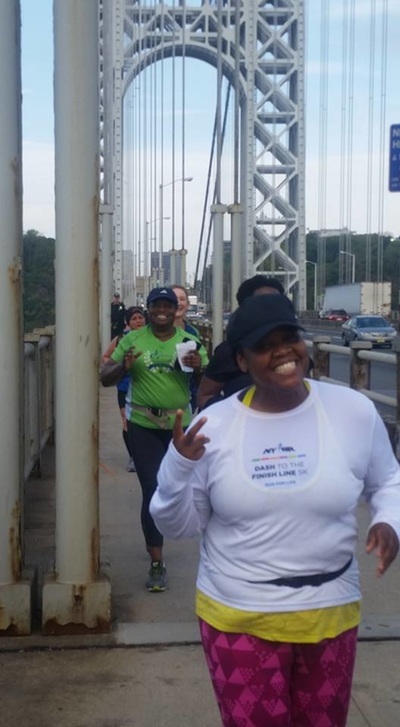 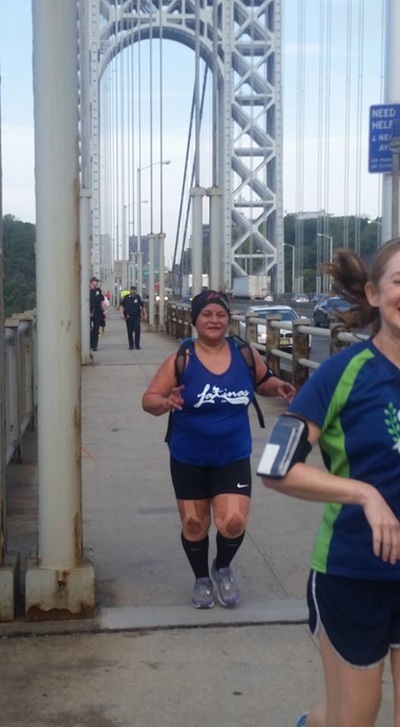 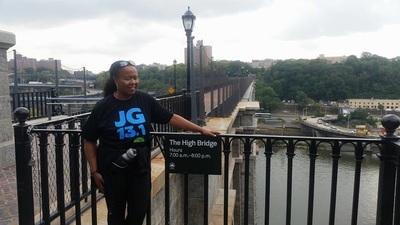 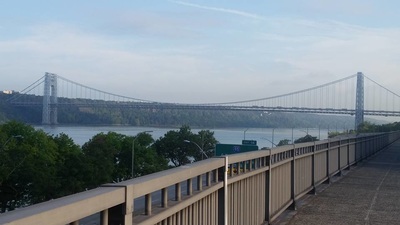 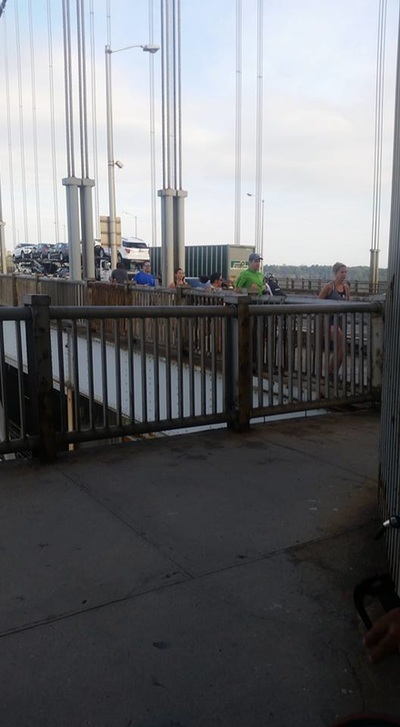 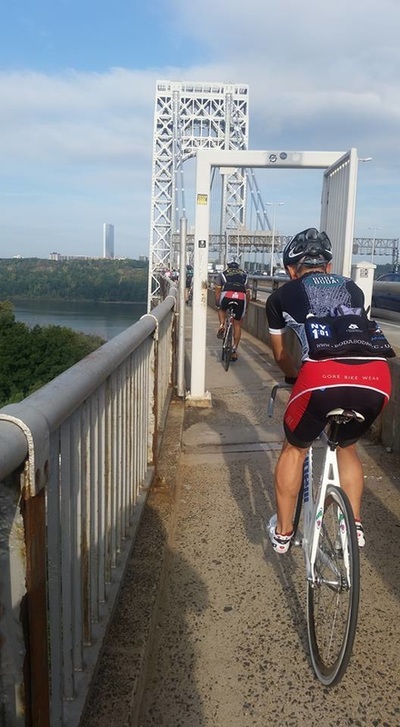 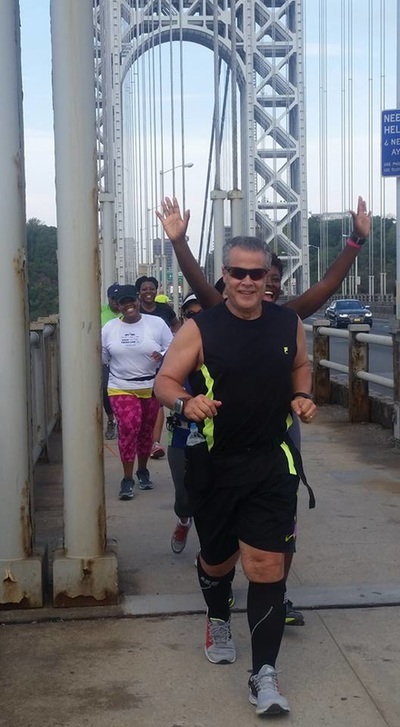 ​Lots of great photos from team members from our Two Bridges/Two States/Two Boros run, including the George Washington Bridge to NJ and newly re-opened Highbridge pedestrian crossing from Manhattan to the Bronx, returning by historic Jumel Mansion and the Sylvan Terrace row houses. 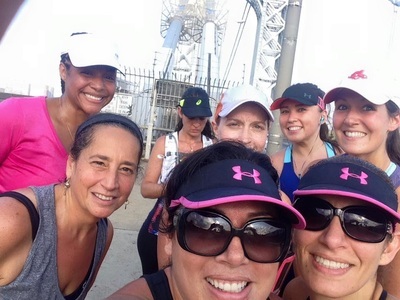 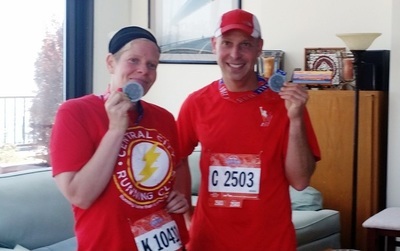 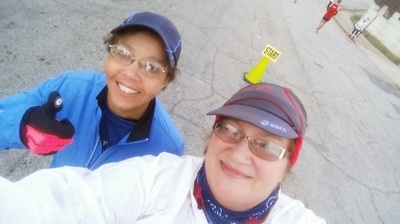 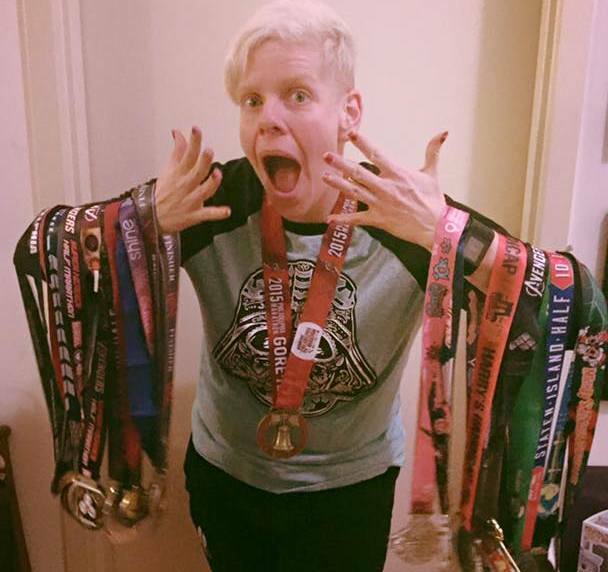 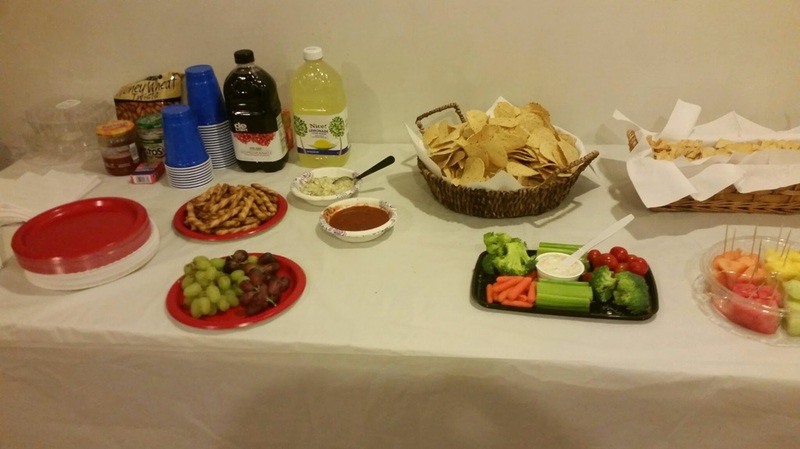 ​July 4th: Magic Mile, Lighthouse Run and Pool Party! 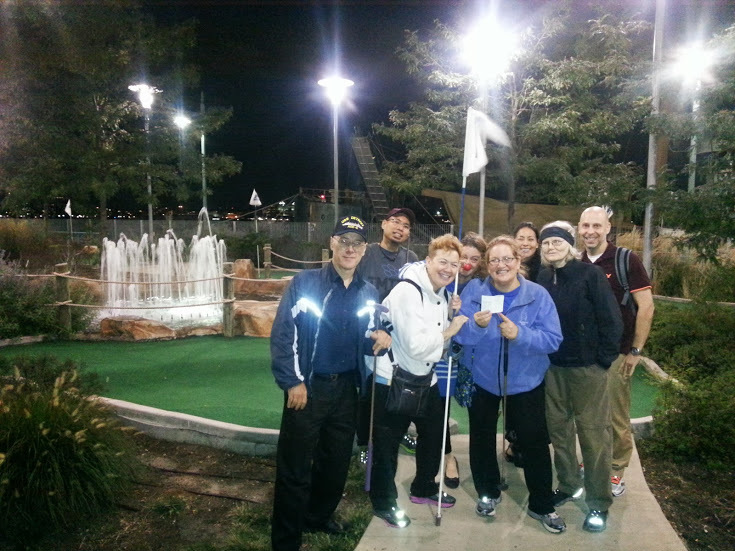 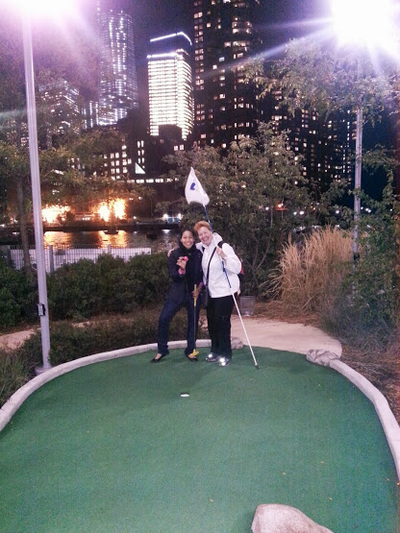 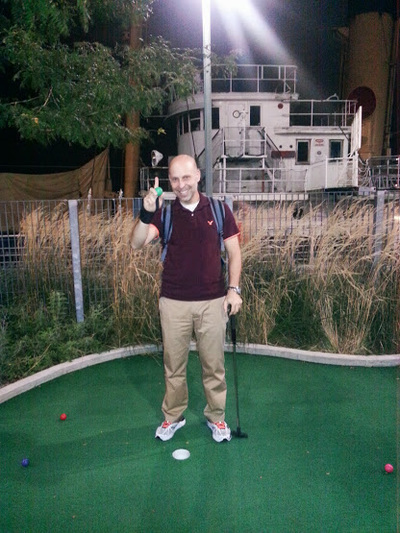 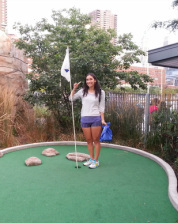 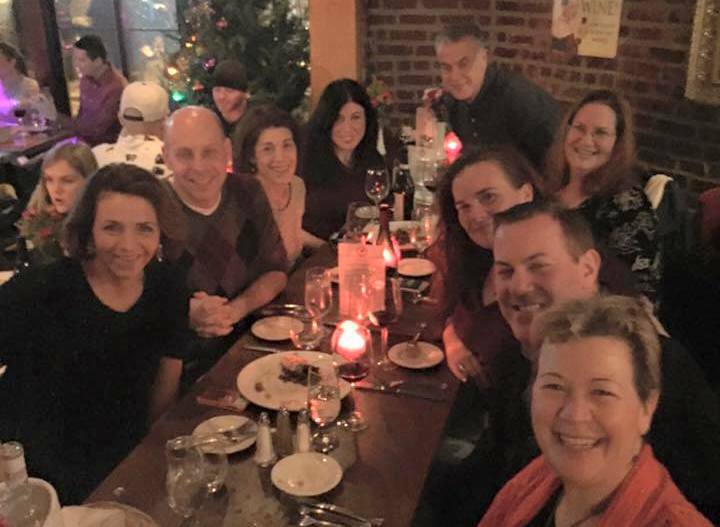 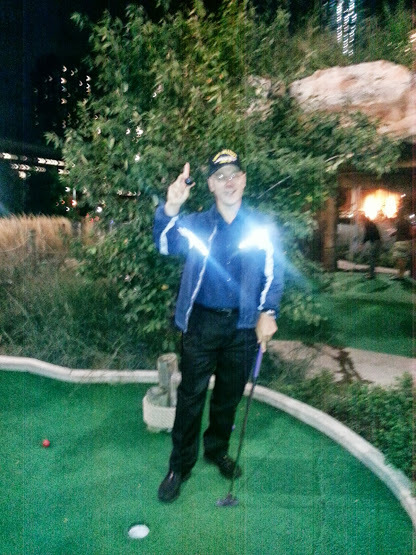 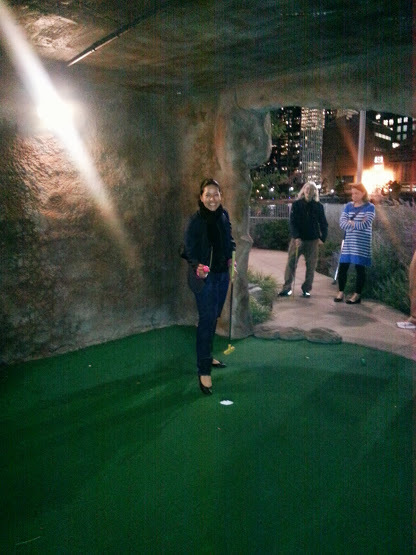 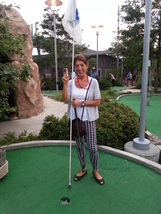 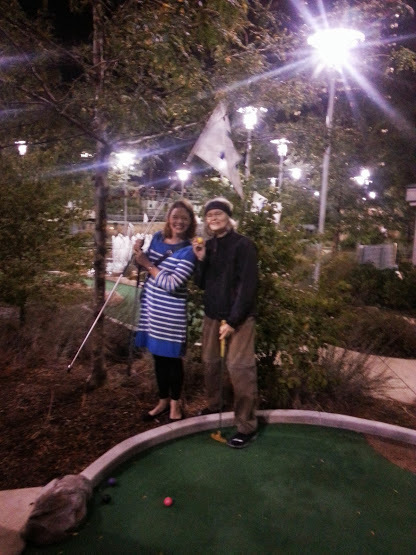 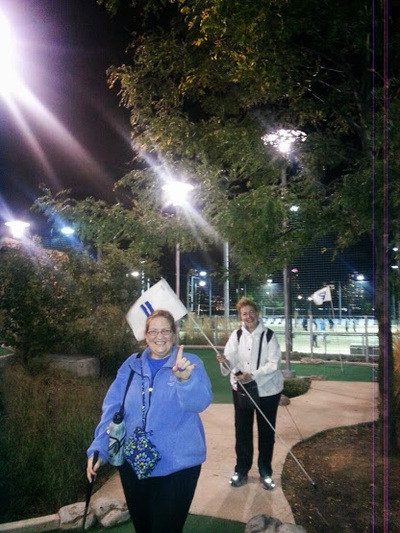 ​A great time was had by all on this holiday outing! 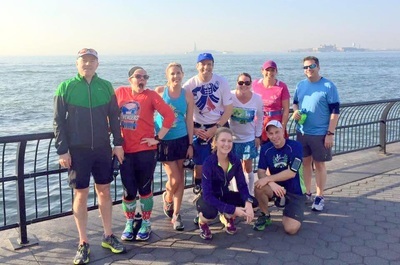 The group ran 6 miles in all, including a timed Magic Mile on the beautiful Riverbank Olympic Oval, and enjoyed a picturesque run to the Little Red Lighthouse. 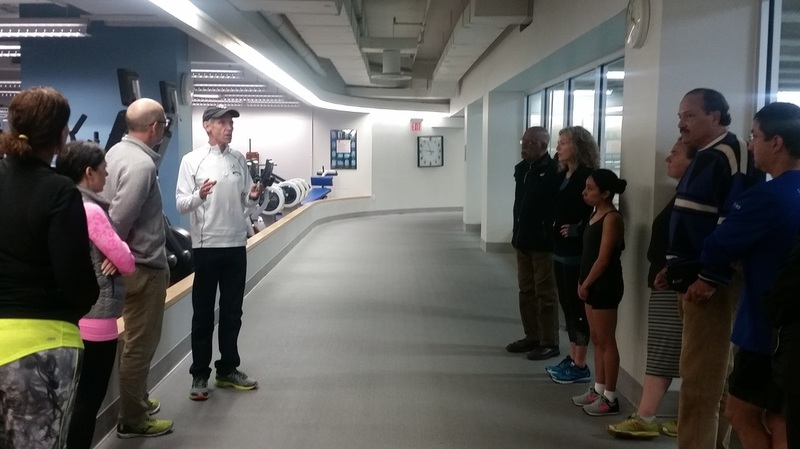 Afterwards, several members enjoyed a cooling dip in Riverbank's indoor and outdoor pools. 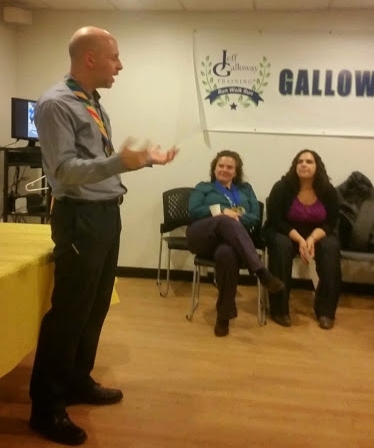 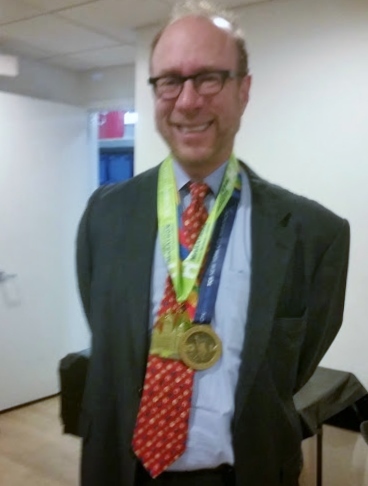 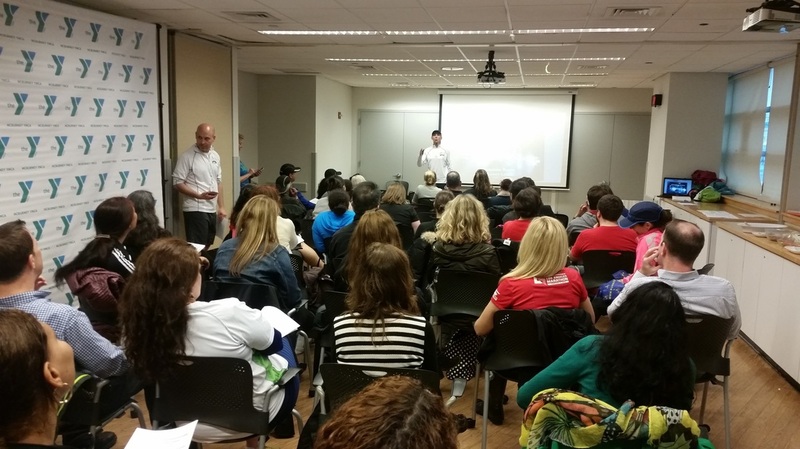 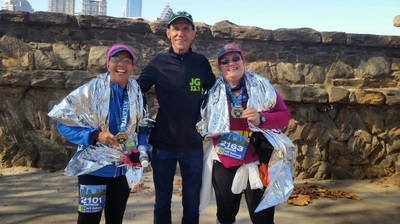 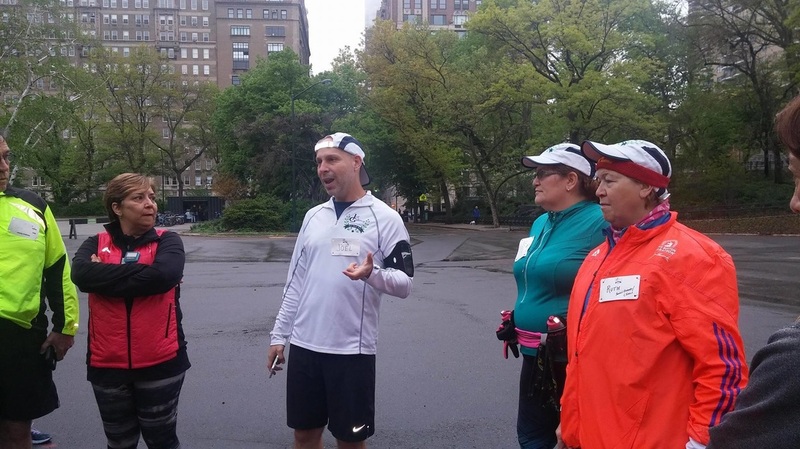 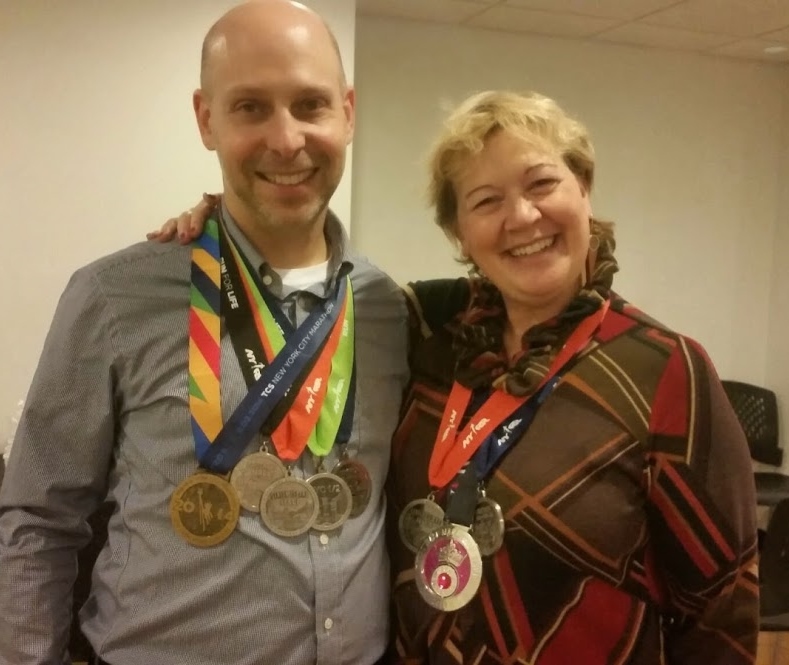 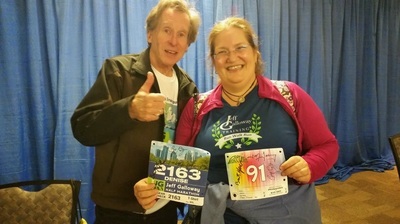 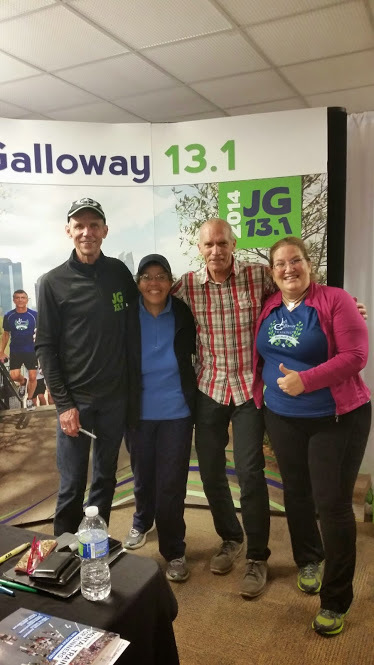 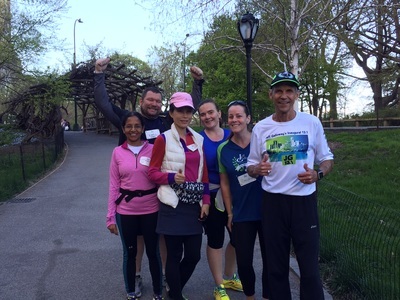 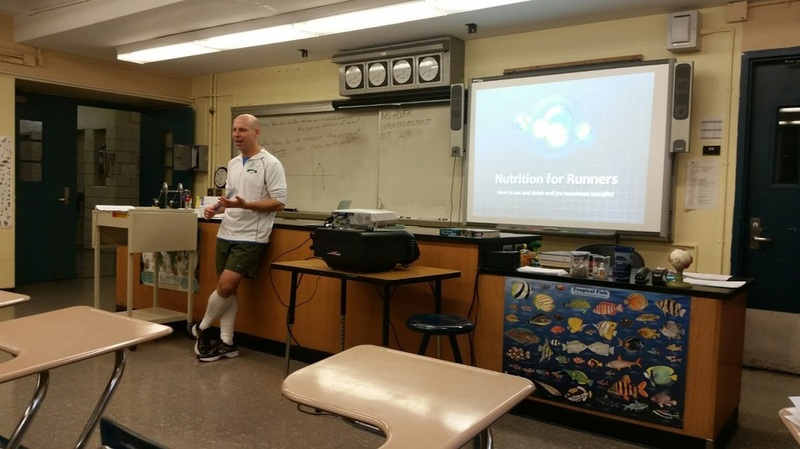 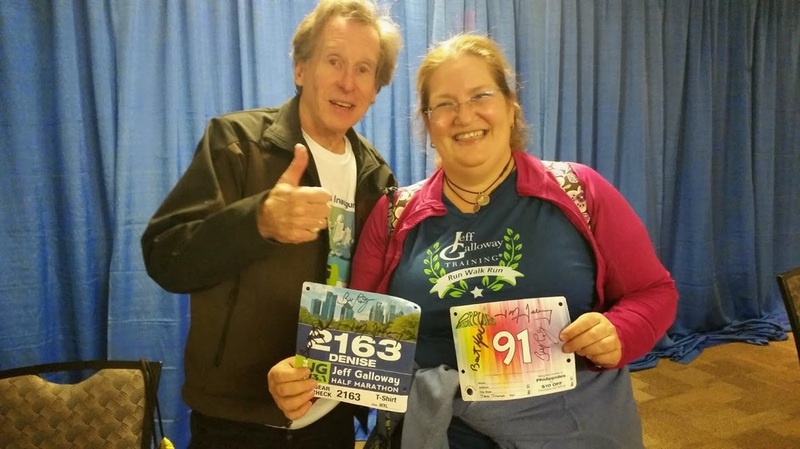 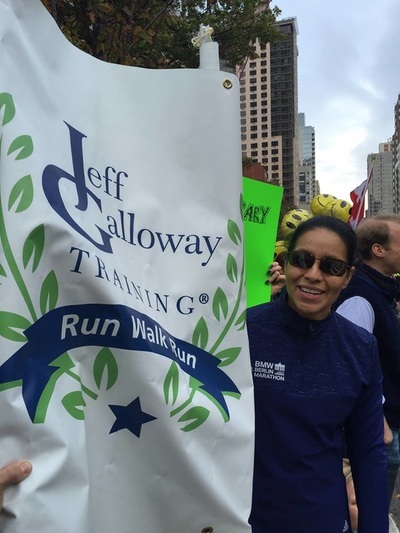 Jeff Galloway came in person to help Galloway NYC kickoff the 2015 running season and join us for a fun run in Central Park. 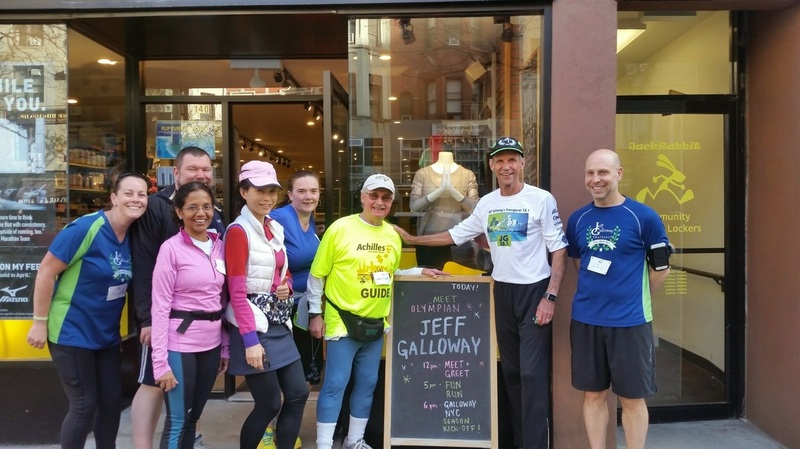 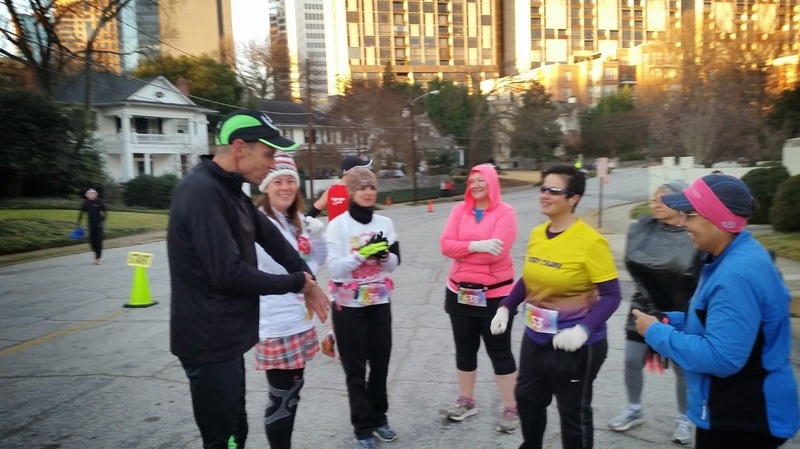 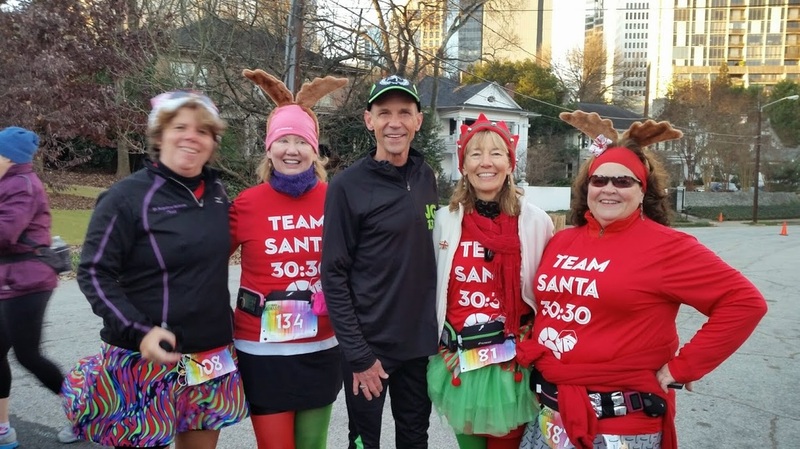 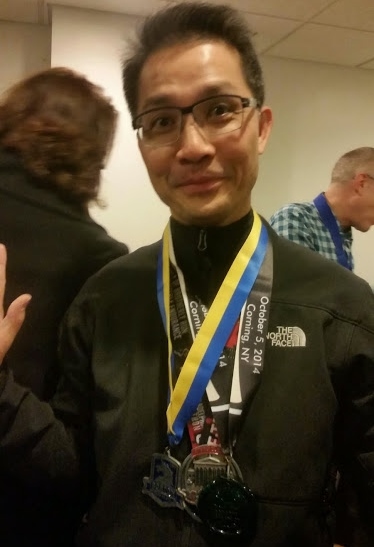 Welcome, Jeff, and all our new runners! 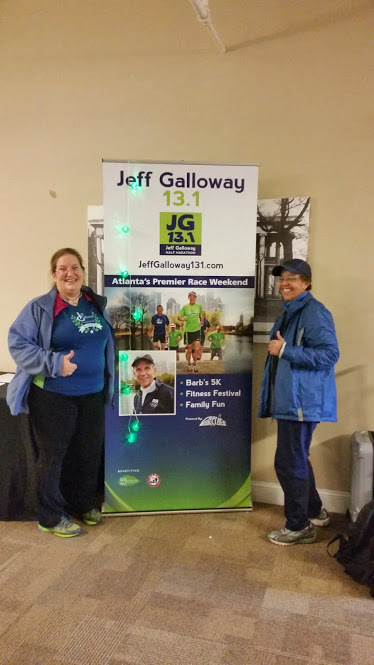 May 2014 Kickoff with Jeff Galloway! 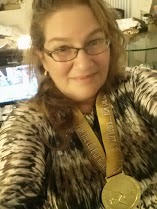 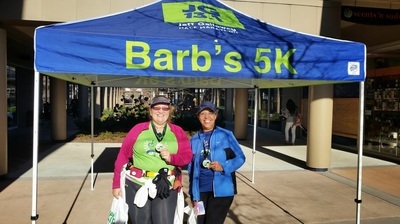 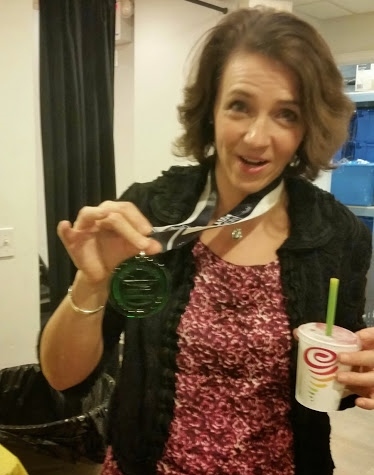 Haunted 5K - Diana's first race, and Ruth's age group medal! 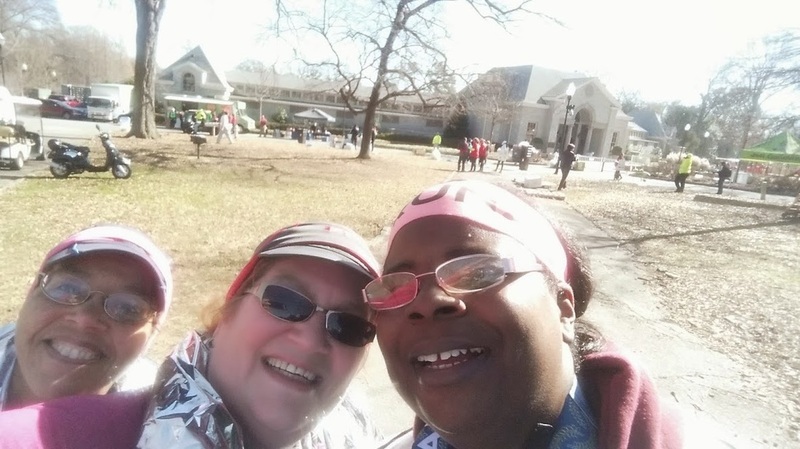 Denise & Pat - Rock & Roll 2014!